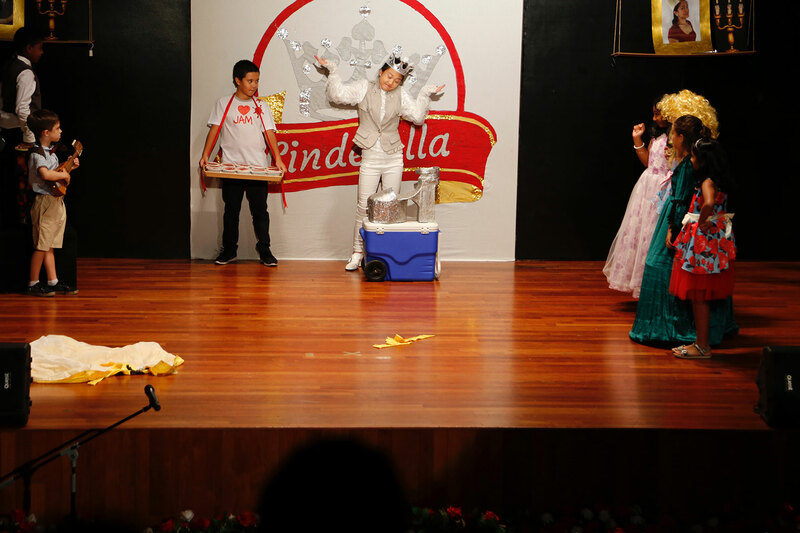 The highlight of the week was definitely the Elementary School production of Cinderella. 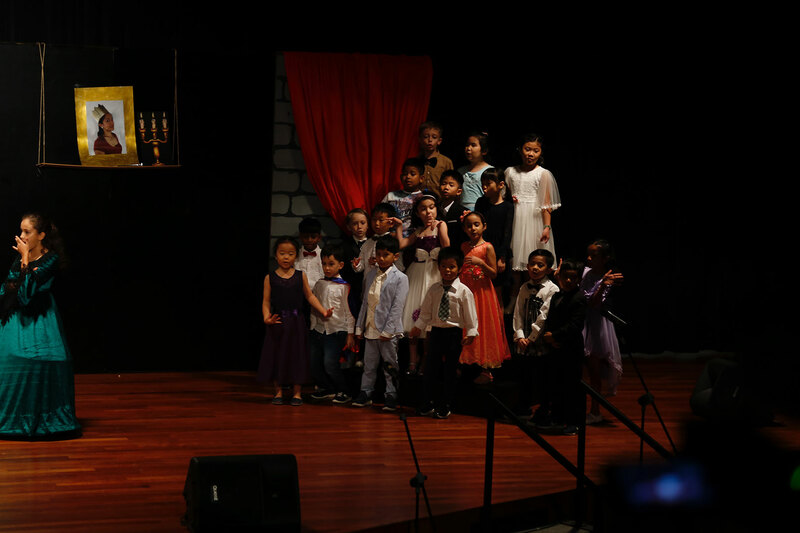 Our students sang and performed with passion and gusto while the audience enjoyed themselves enormously. 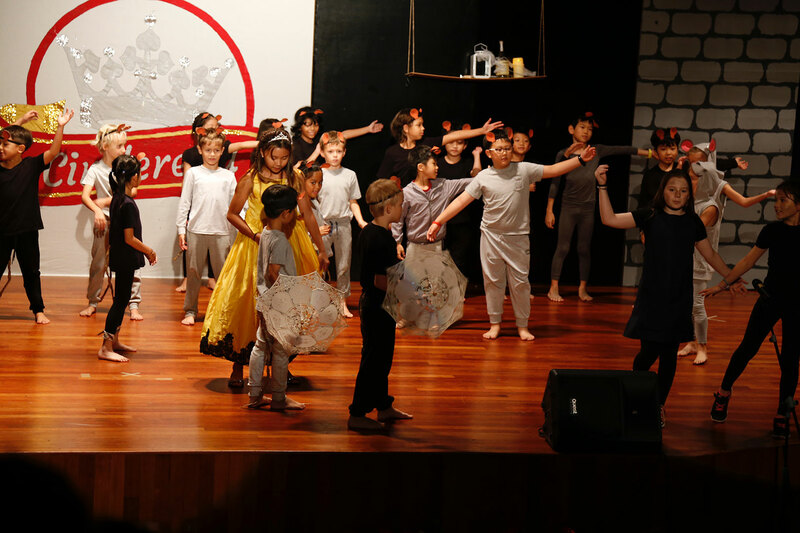 Thanks are extended to Mrs Clare Demnar, the production staff, secondary students in the back stage team and the performers themselves! 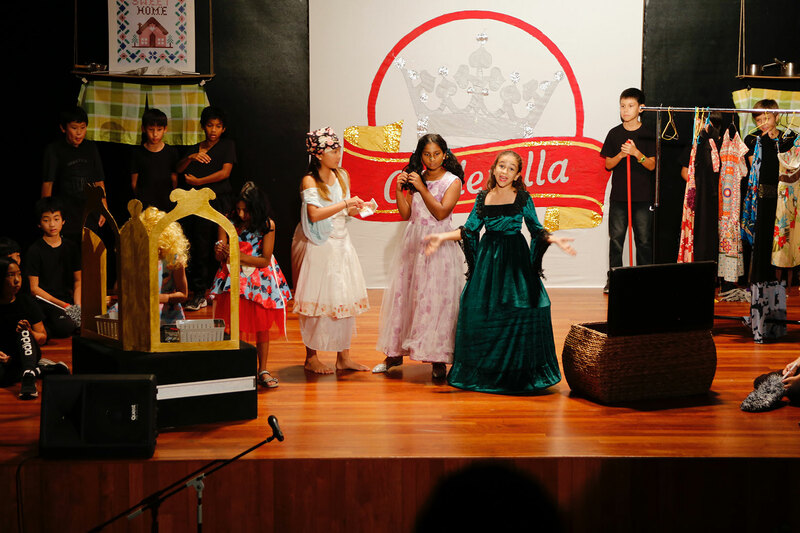 This week was a milestone in the school year in several different ways. Two student-led initiatives came to a successful close, as Student Council opened our Wellness Room for students, and unveiled a newly designed Learning Lounge on Level 6. Both of these initiatives have resulted in a positive impact on our secondary school, and will serve the needs of our students. The next time you are on Level 6, please stop by to see the new changes. I am very thankful to the Student Council members for their initiative, leadership and work ethic to help bring about these changes! This week also saw the close of our Global Goals unit during innovation time. 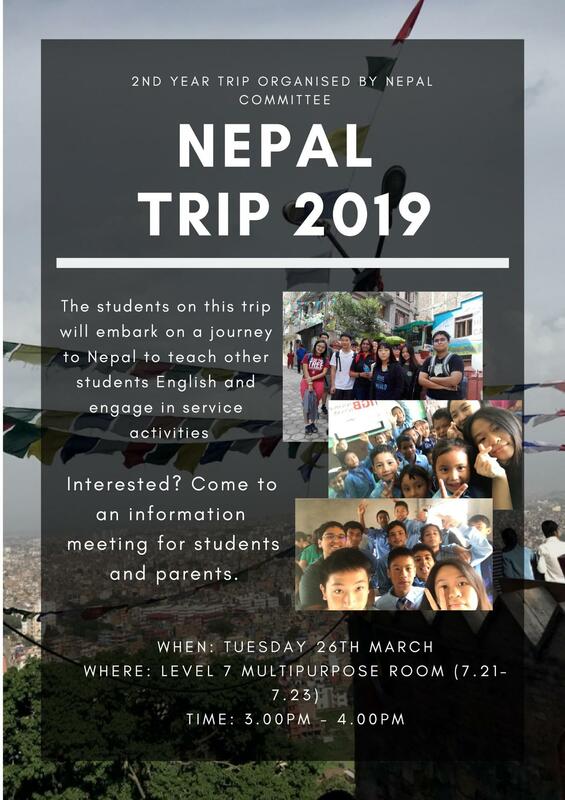 Groups of students shared their work via videos, and the TedEd group shared their progress thus far as well (which they have decided to continue into Season 3 Activities). Innovation time will now be shifting focus to look at student wellbeing and how we can take better care of ourselves and each other. Finally, Season 2 of Athletics and Activities finished this week, which we celebrated with a staff versus students basketball game. 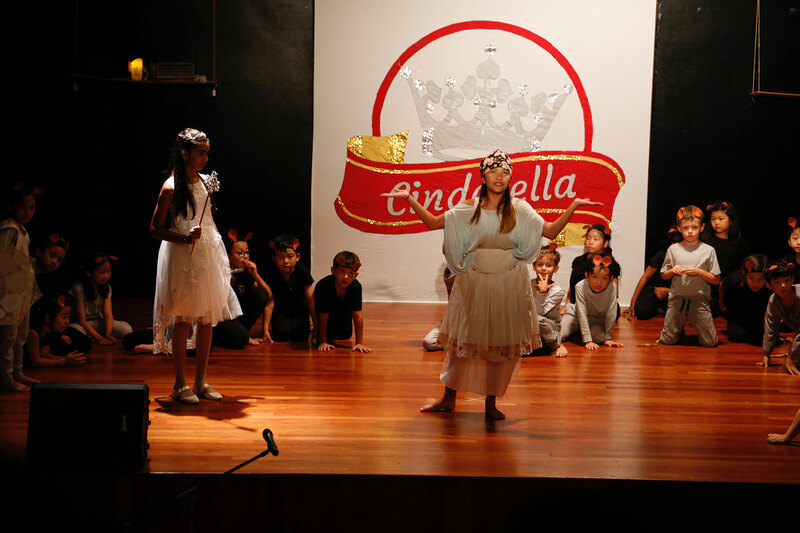 More than 20 students participated, as well as close to 10 staff. 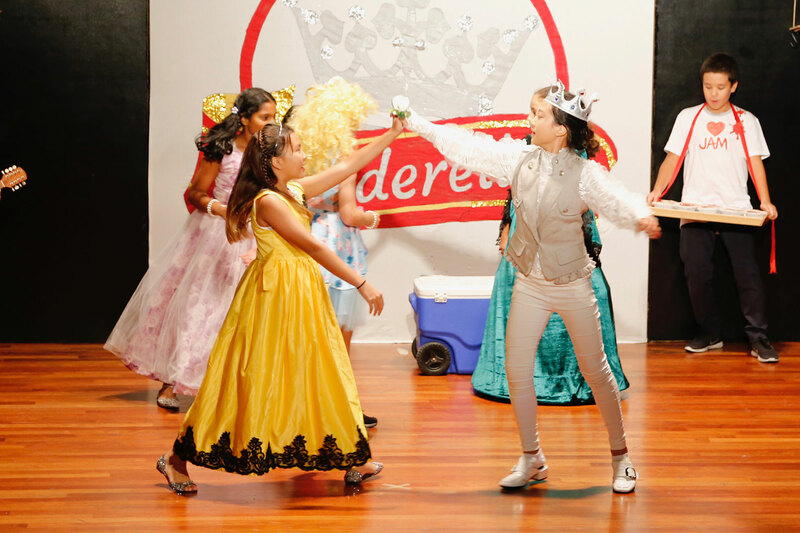 Everyone enjoyed themselves tremendously and it was a fitting end to the season. 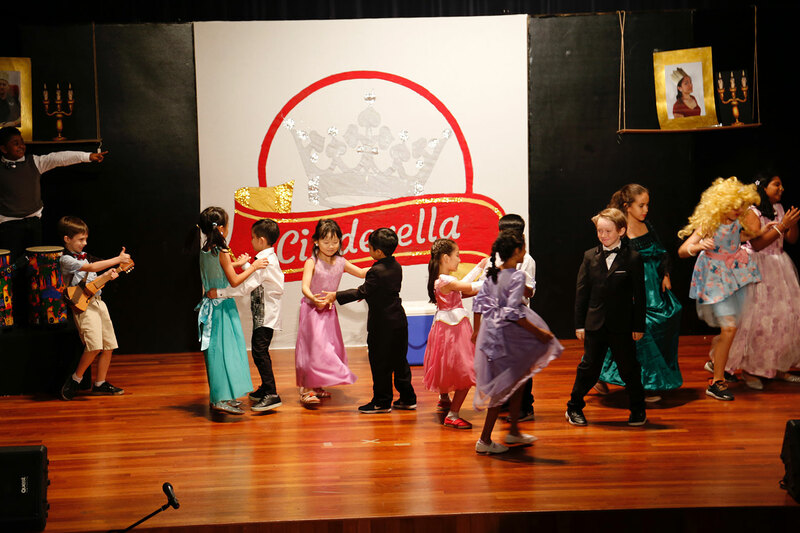 I wish students and families a healthy and restful break, to return refreshed for the final few months of school. 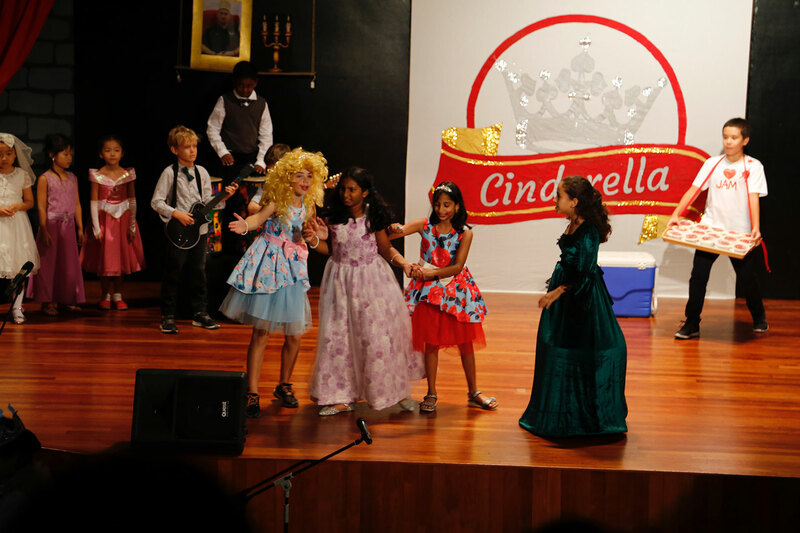 The focus this week has been the Elementary school production of Cinderella. 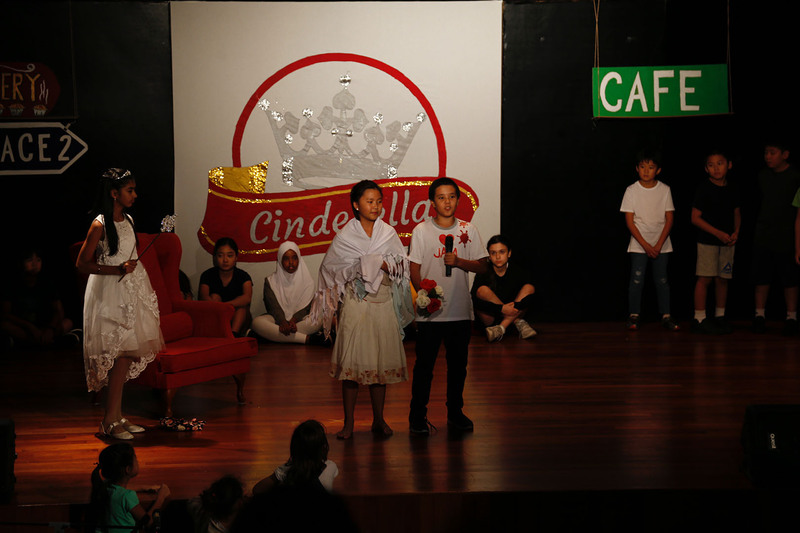 The performances in front of an audience on Tuesday (dress rehearsal for Secondary students, ZEC students and Early Years students) and Wednesday was wonderful as people were able to foot tap through the show with catchy numbers and a script to bring a smile to people’s faces. 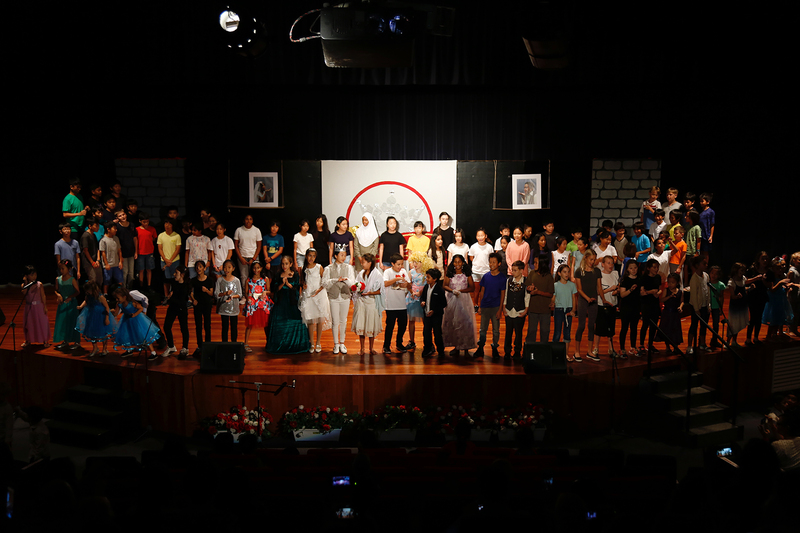 This was a team effort and brought together the arts department (Visual and Performing), homeroom teachers, associate teachers, student services teachers and secondary students. 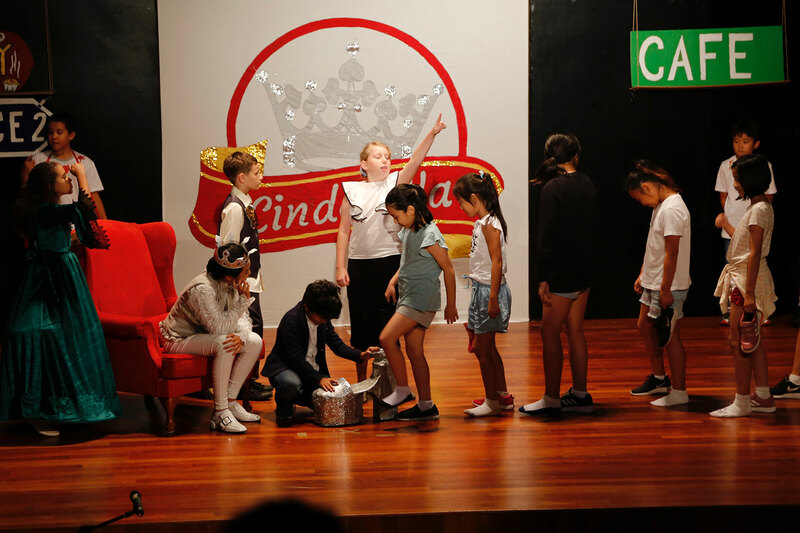 Everyone pulled together to create a wonderful set, confident acting and singing and a feel good factor. 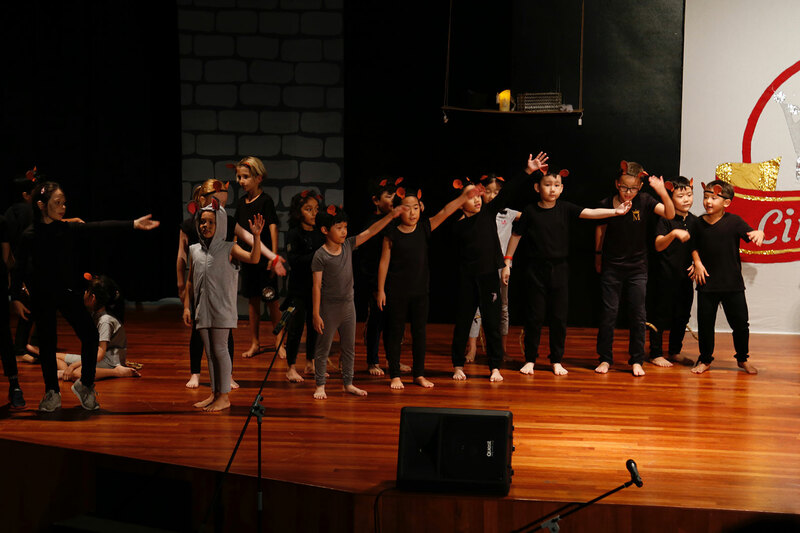 The fact that a majority of students from Grade 1 to Grade 5 had a role to play in the performance shows the extent of the logistical ramifications of such an undertaking. 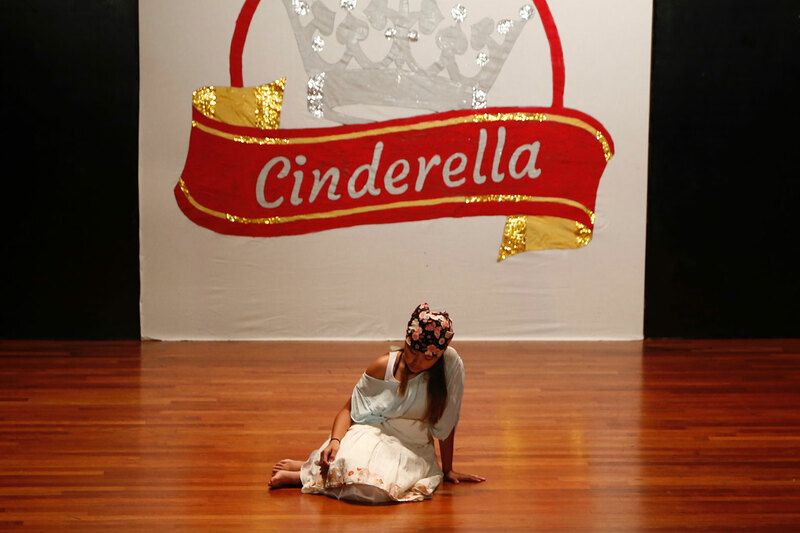 I thoroughly enjoyed the performance and I hope you did too. It was great to see parents at the Learning to Move, Moving to Learn workshop that Ms. Lizzie and Mr. Ngatai facilitated this week. I am sure you will have learned a lot and I hope you can put some of their ideas into action. 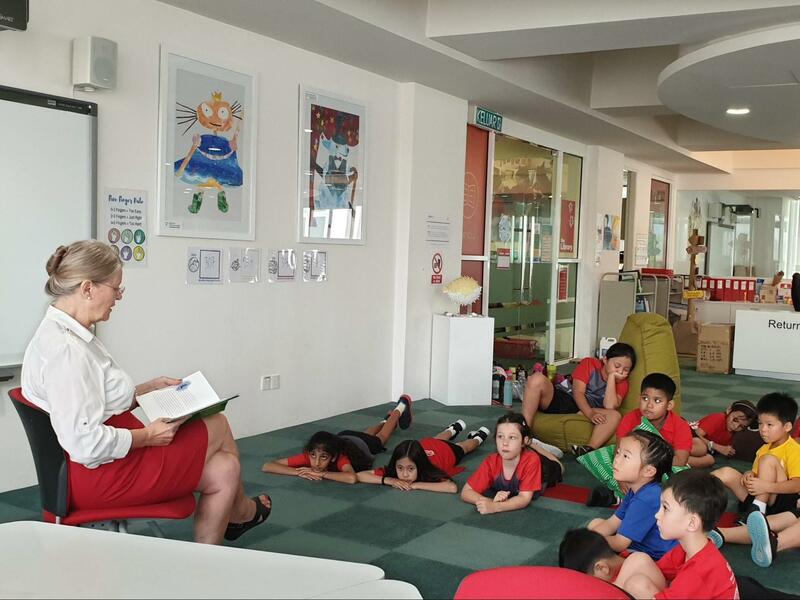 On Wednesday Ms. Aga hosted the Kopitiam where she presented some of the new ideas coming from the IB organisation. In the next few Kopitiams Ms. Aga and I will continue to share these developments and we look forward to seeing even more of you attend. I hope you enjoy the upcoming holiday, safe travels and to those families that are leaving us at this time we wish you every success in the future. 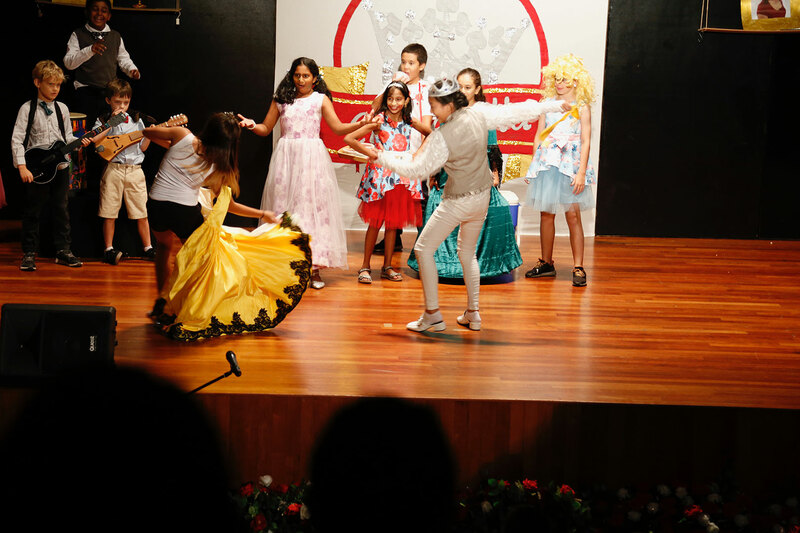 Hi, my name is Dameer, I am in Grade 11 and this year I organised EosMUN 2019 along with Supriti Shinde from Grade 10. 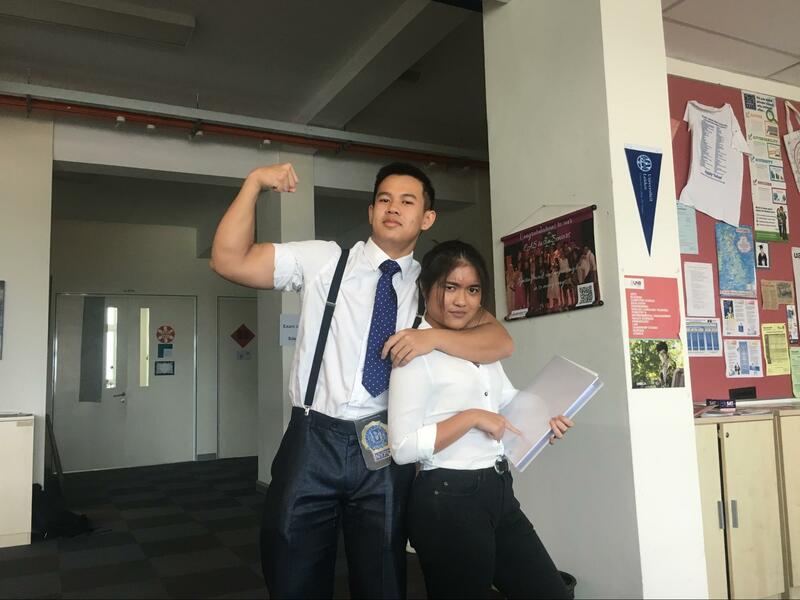 For those of you who do not know, EosMUN is IGBIS’ native MUN, in which our students organise a whole Model United Nations Conference for students all over KL to participate in. EosMUN is the biggest student-led event in IGBIS, and being part of the secretariat this year was an experience like no other. I cannot begin to tell you how formative this experience was for me. Supriti and I had to tackle a myriad of challenges that nobody could prepare us for, and with the help of our amazing team, I can confidently say we hit it out of the ballpark. 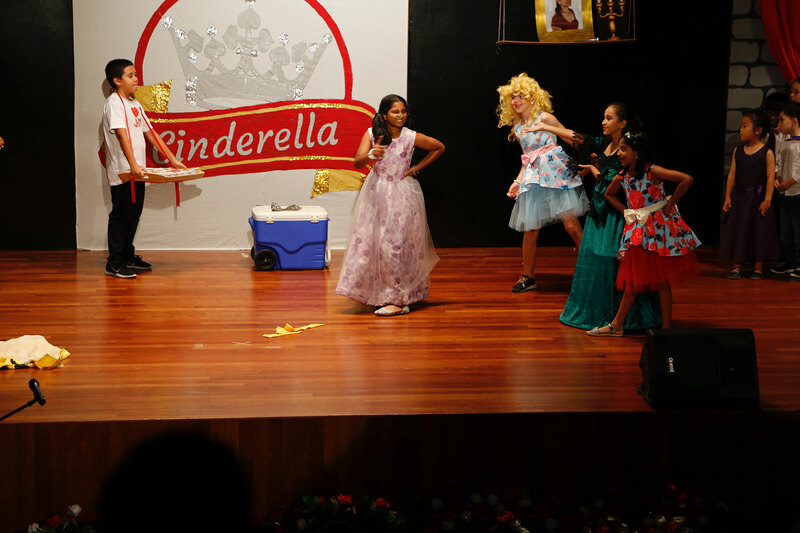 As it is an extremely complex event, Supriti and I had to develop our leadership, organisational and analytical skills to accomplish what we did. 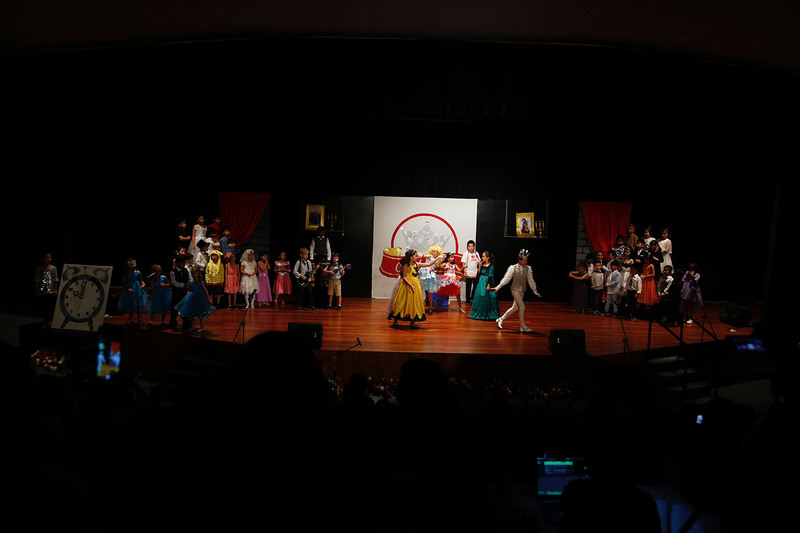 I cannot stress enough how proud I am of my team, and everyone else who was involved this year, especially Ms Greta, Mr Moore, Mr and Mrs Arcidiacono. I highly suggest for all students to join the MUN club and help out with EosMUN in the years to come as you will come out of the experience as a stronger, braver and smarter individual. 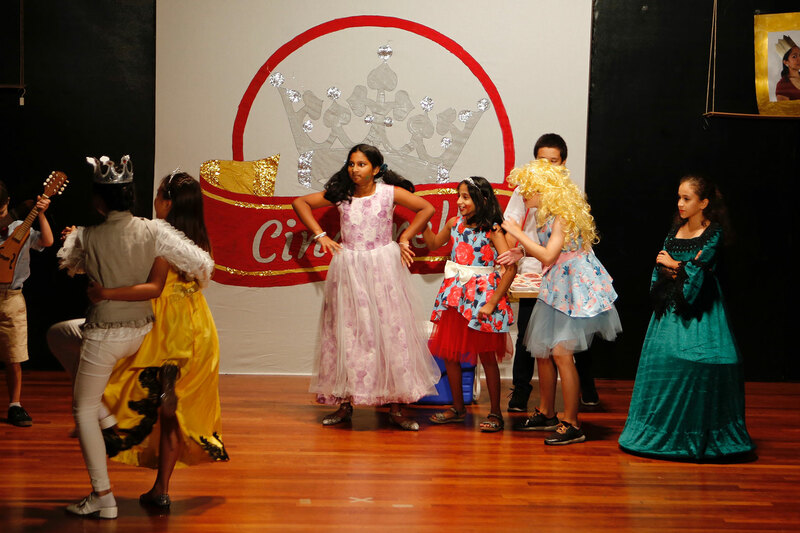 Hello, my name is Supriti and I am a student in Grade 10. Along with Dameer Khan, we were the secretary generals of EosMUN 2019. 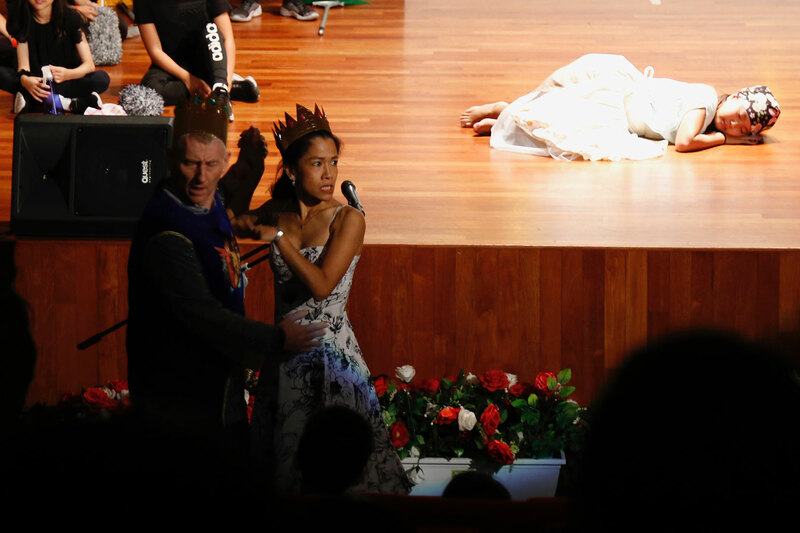 Eos Model United nations has been held at IGBIS since 2014 and this year’s theme was Ad Virtutem Veritatis, meaning the power of truth. 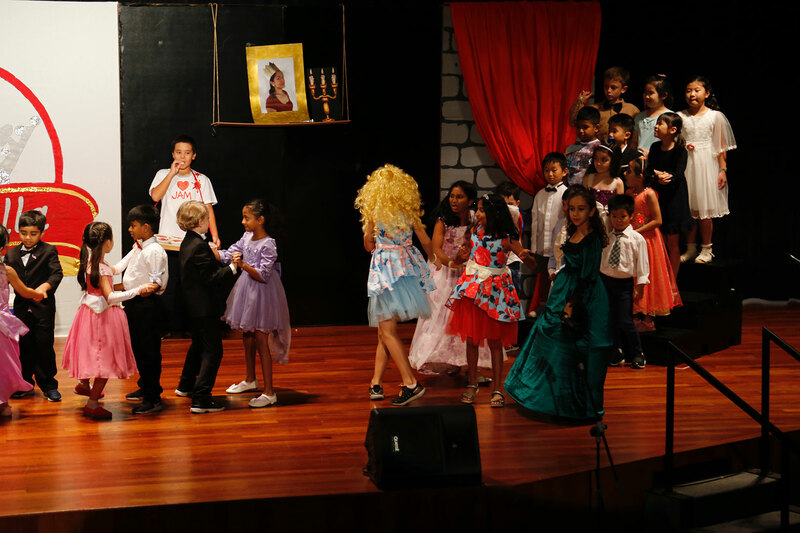 It was amazing to see so many students from Grade 6 and Grade 7 participate actively in this year’s conference. I have delegated in many conferences before, however, I have had no experience of being part of the secretariat so to be given this opportunity was really important to me. Last year’s standards were set very high and to be part of this conference, there was high pressure on us to ensure we met similar success to last year. The planning process of this conference wasn’t easy and we faced many challenges along the way however, the success of this conference made up for it. I am more than proud of our amazing secretariat team: we were able to face the hardships together and have a successful conference. From designing an economical water filtration system and developing alternative sources of electricity to determining the best liquid available to grow vegetables. 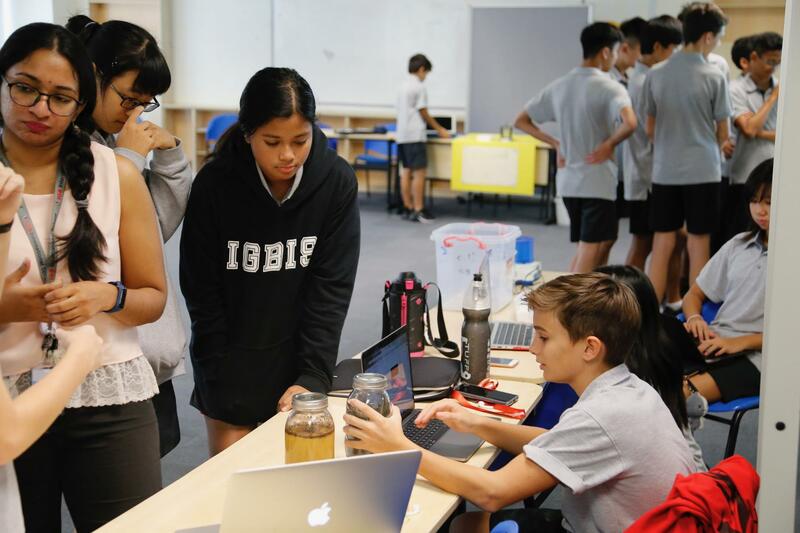 Grade 7 students have been sharing, their scientific investigations with the rest of the school this week. 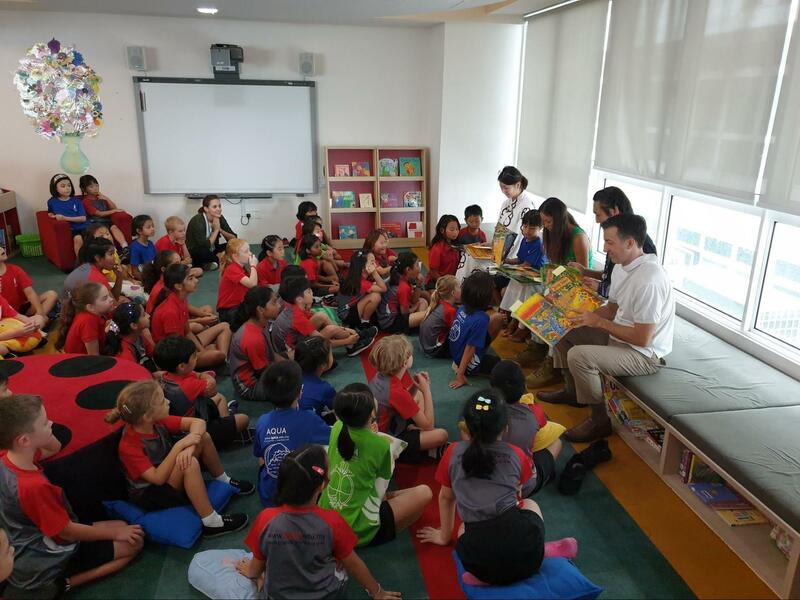 We’ve had a busy few weeks in Elementary Host Nation classes, with every grade in Elementary School looking at a different aspect of Malaysia. 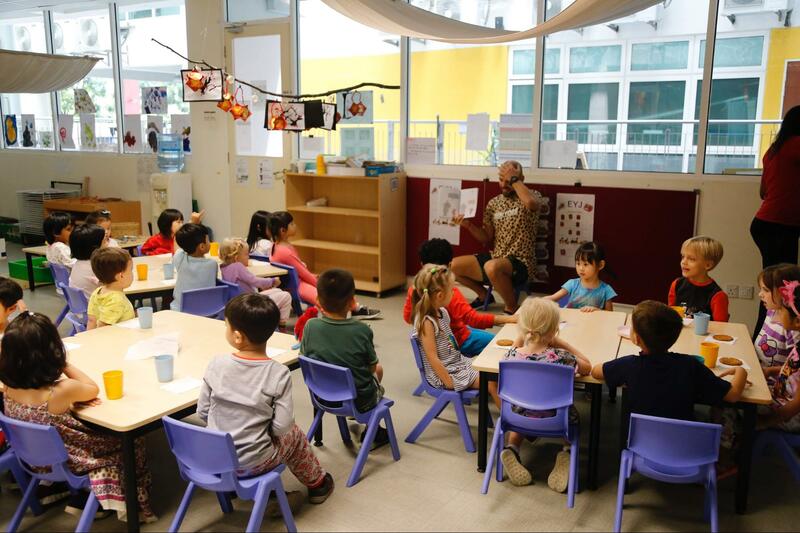 The Kindergarten students have been learning about local fruits in Malaysia, such as the durian, rambutan, pisang (banana), manggis (mangosteen), nangka (jackfruit), and betik (papaya). 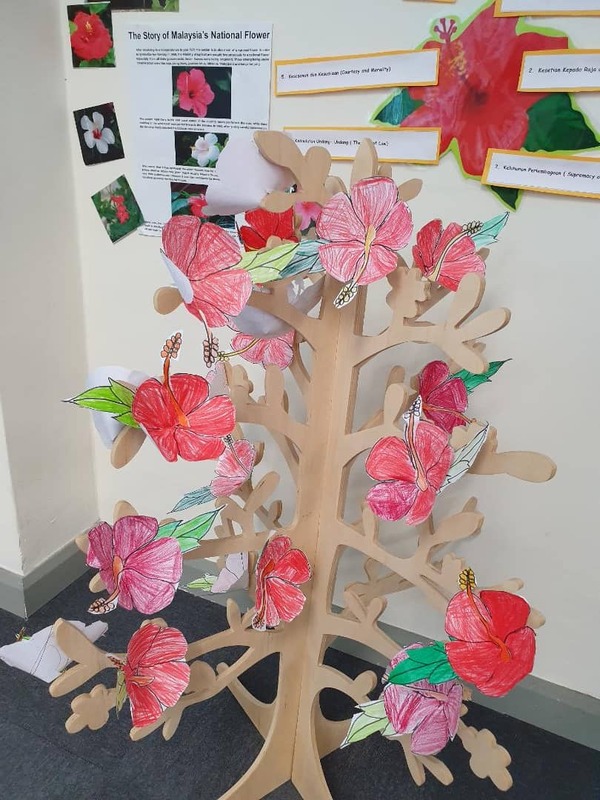 They also learned the story of Malaysia’s national flower, Bunga Raya (hibiscus). 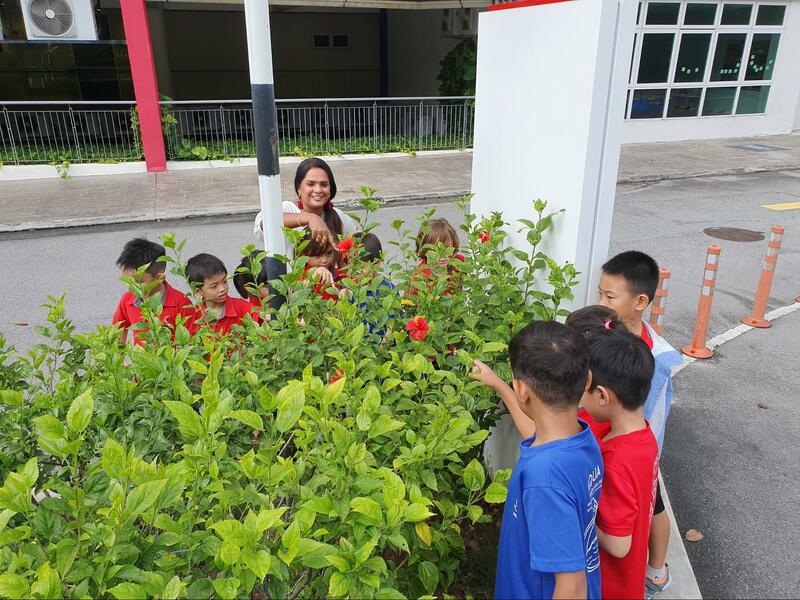 The students began their unit by learning about the different parts of a plant. 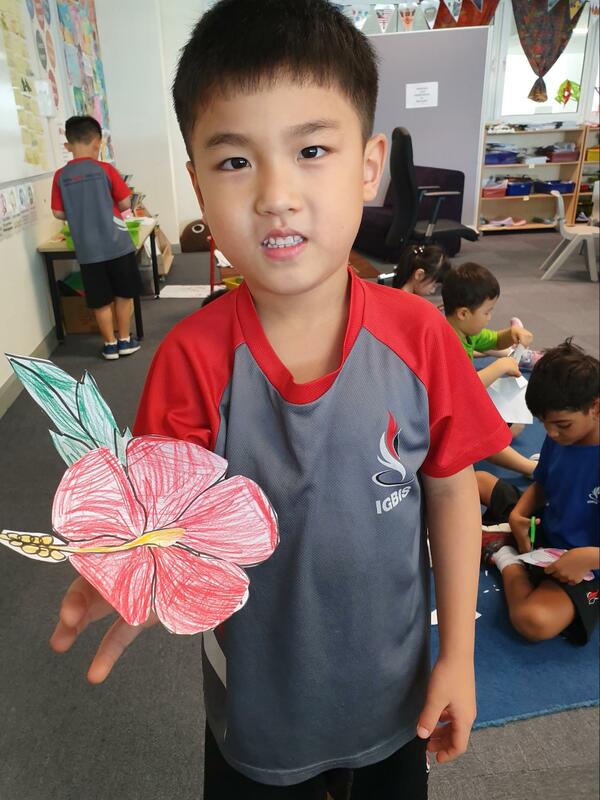 They had lots of fun making simple paper flowers and enjoyed learning the song (similar to Head, Shoulders, Knees and Toes) which helped them remember the names of the different parts of the plant, such as, flower (bunga), leaves (daun), stem (batang) and roots (akar) in Malay. 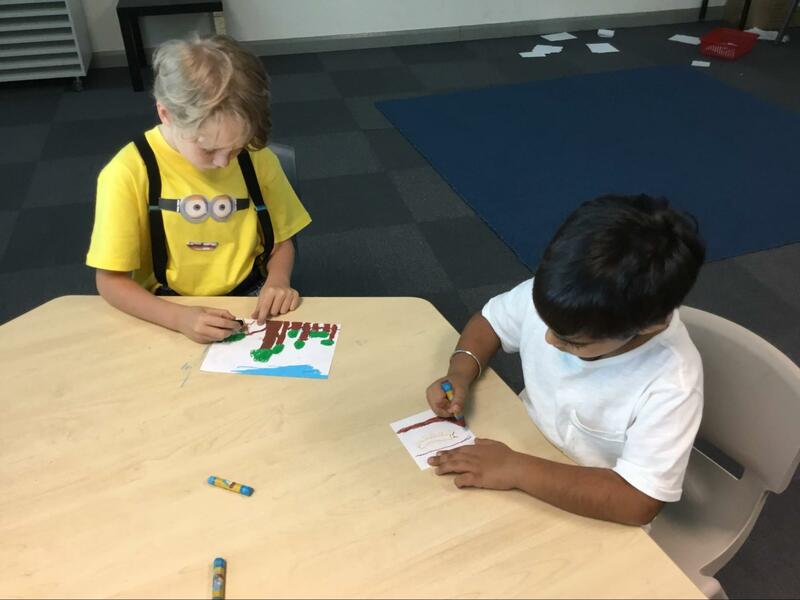 Grade 1 students are learning about the states in Malaysia. So far, we have journeyed through Kuala Lumpur, Selangor, Kedah, Kelantan, Terengganu and Melaka. 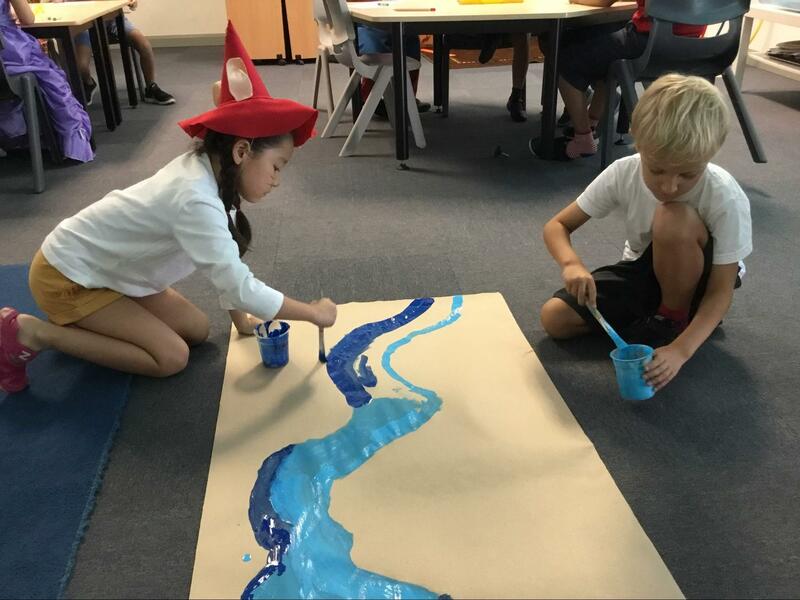 Recently we were discovering about Sarawak. We found out that the longest river in Malaysia is in Sarawak and it is called Sungai Rajang. Sarawak also is the home of a variety of wild animals like sun bears, flying lemurs, centipedes, orangutans and bottle-nosed monkeys. We painted Sungai Rajang on a long piece of paper and drew the flora and fauna to stick along it. 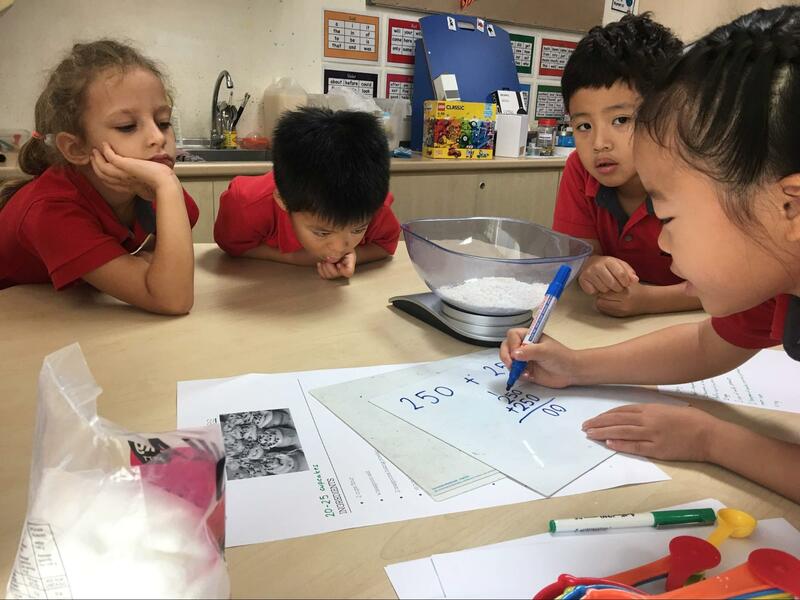 The students in Grade 2 are inquiring into the diversity of races in Malaysia. 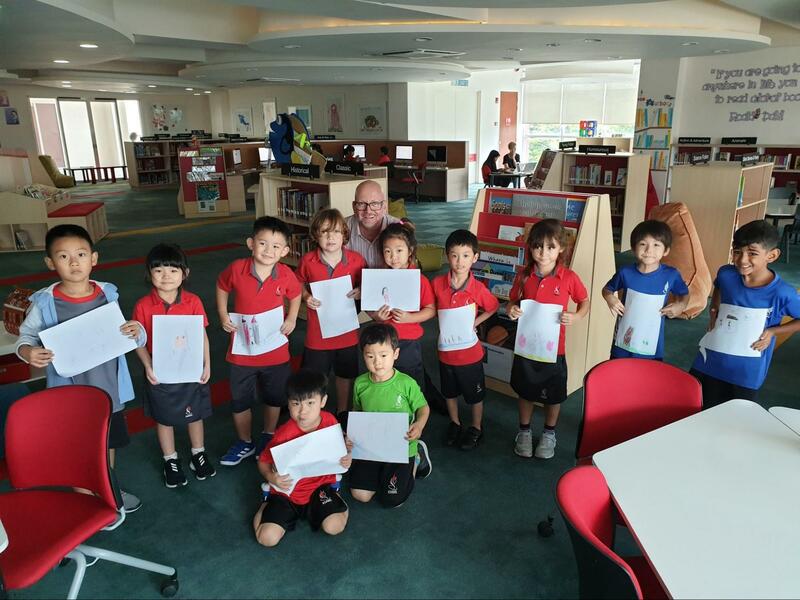 We discovered that there is more to Malaysians than Malay, Chinese and Indians. 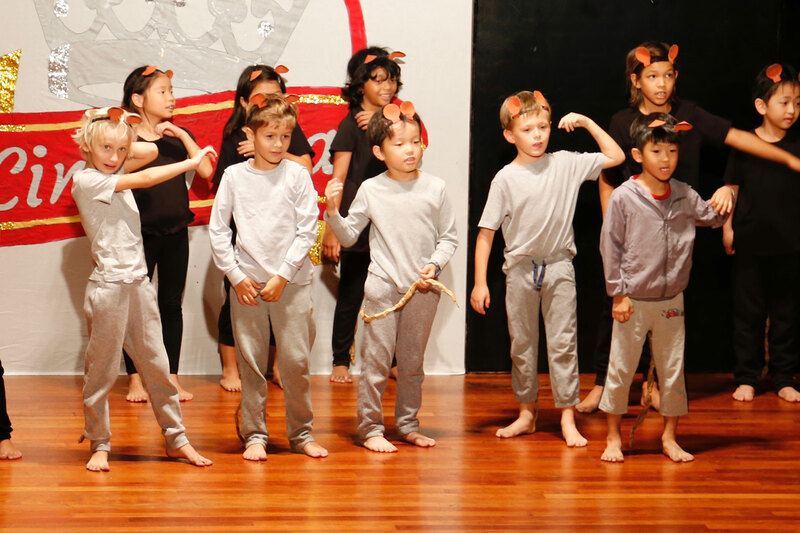 We have learned about the Punjabi, Baba Nyonya, Chetty, Orang Asli and Kristang people. We are also working on a non-fiction book about races in Malaysia. 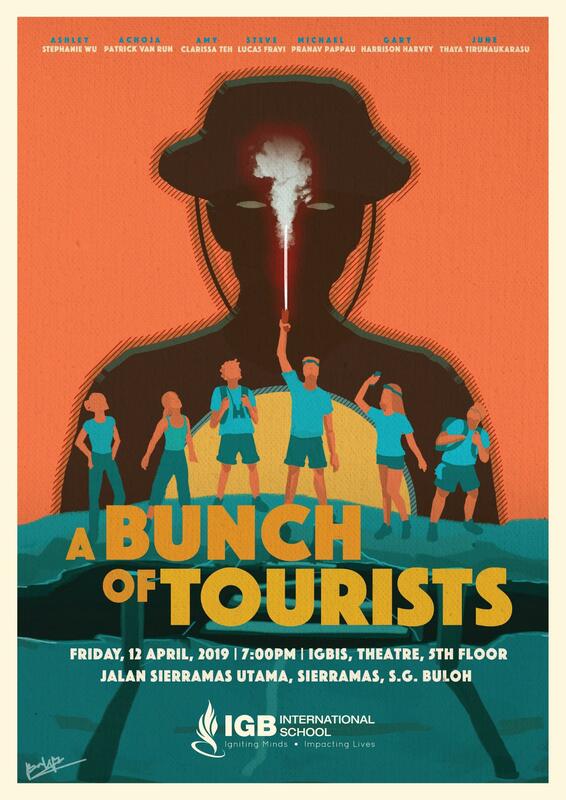 Currently, we are looking into the Iban people who reside in the East Malaysia, mostly Sarawak. We also had fun recreating their warrior headdress. 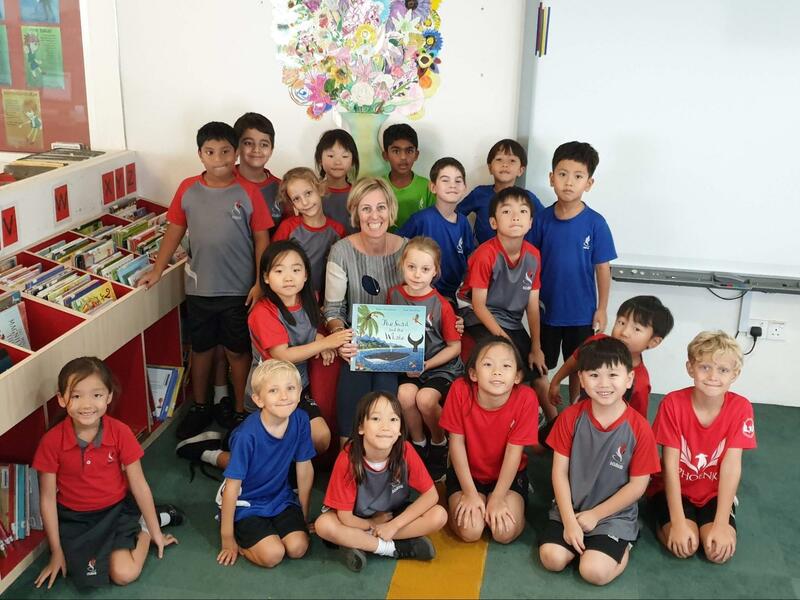 Grade 3 students have learnt about the beautiful places in Malaysia. Students shared experiences of interesting places they have visited. 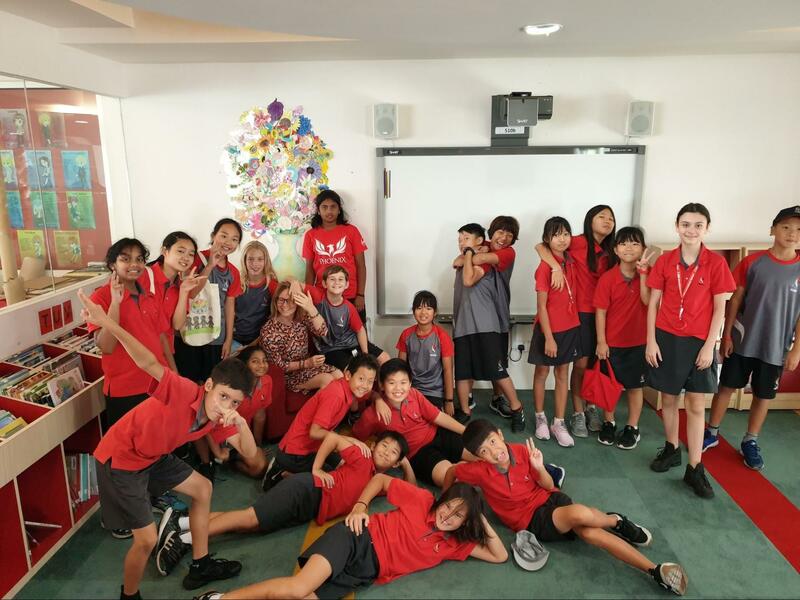 Students also studied the culture of Malaysia. 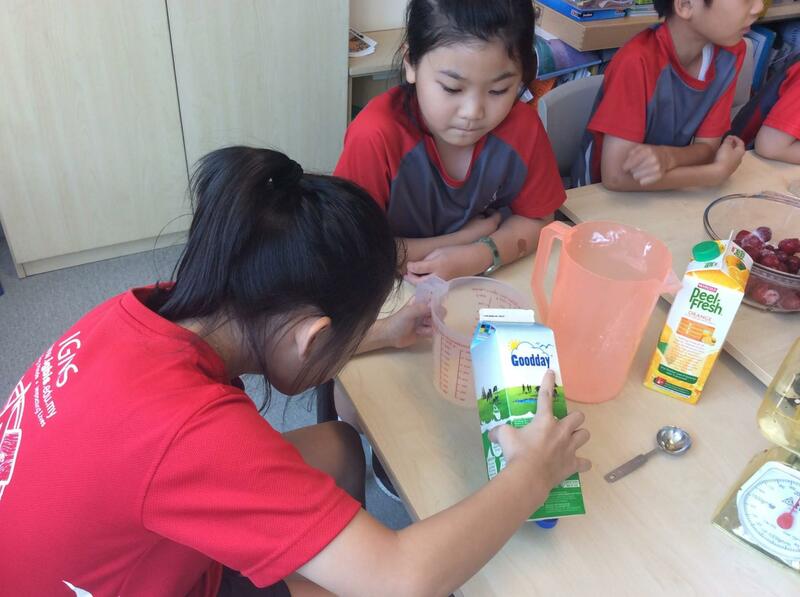 Grade 4 students learnt about the importance of producing our own food. 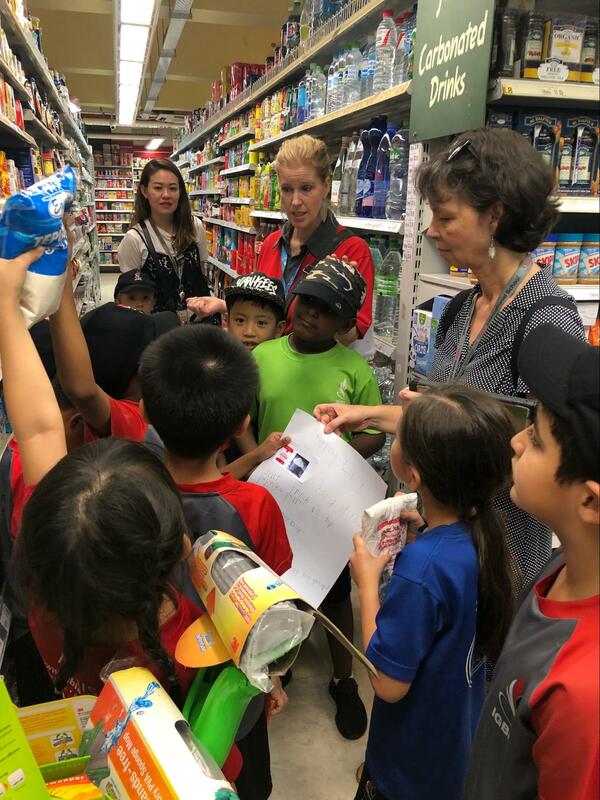 Students identified the names of agricultural activities in Malaysia such as oil palm plantations, rubber trees, pineapple plantations, paddy and black pepper. 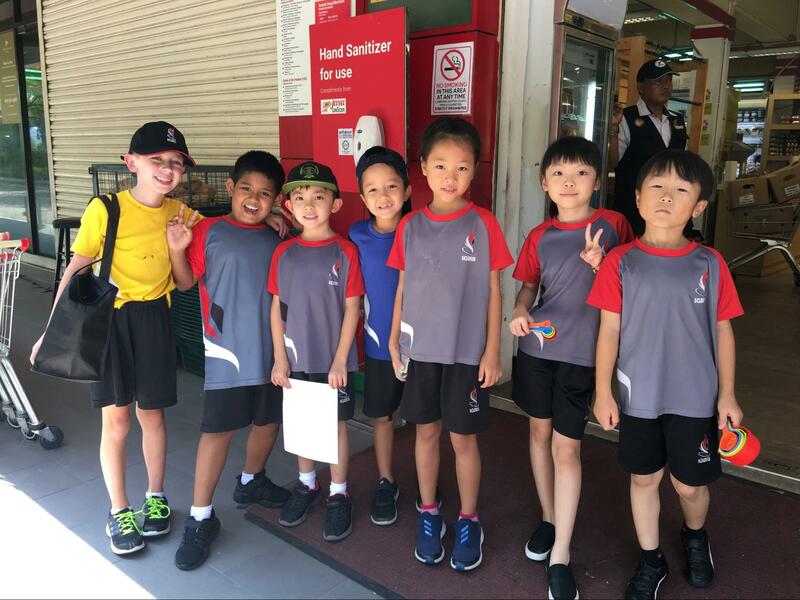 Grade 5 students have also been looking at food, this time researching and learning about different type of foods and spices in Malaysia. 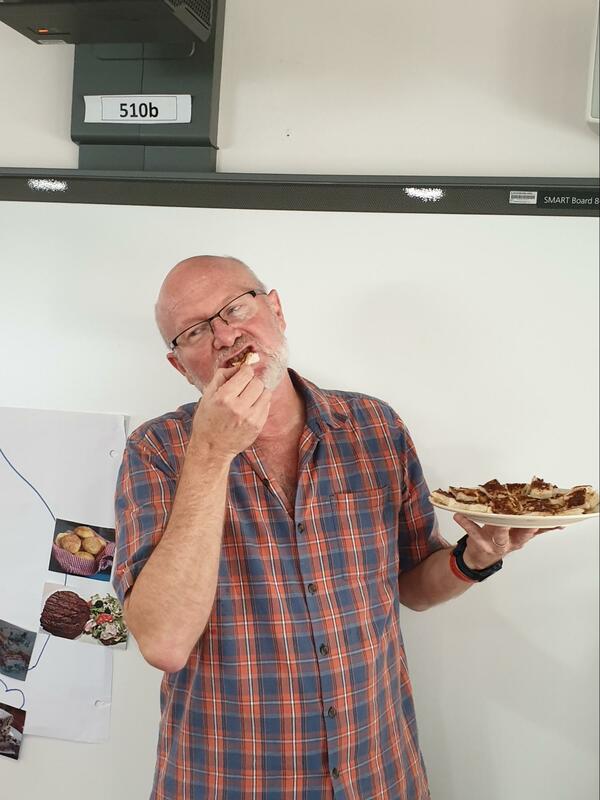 Over the last few weeks all students have inquired into a variety of foods and spices eaten by different ethnic groups of Malaysia. They enjoyed eating roti canai during lunchtime, which is a very famous food in Malaysia. 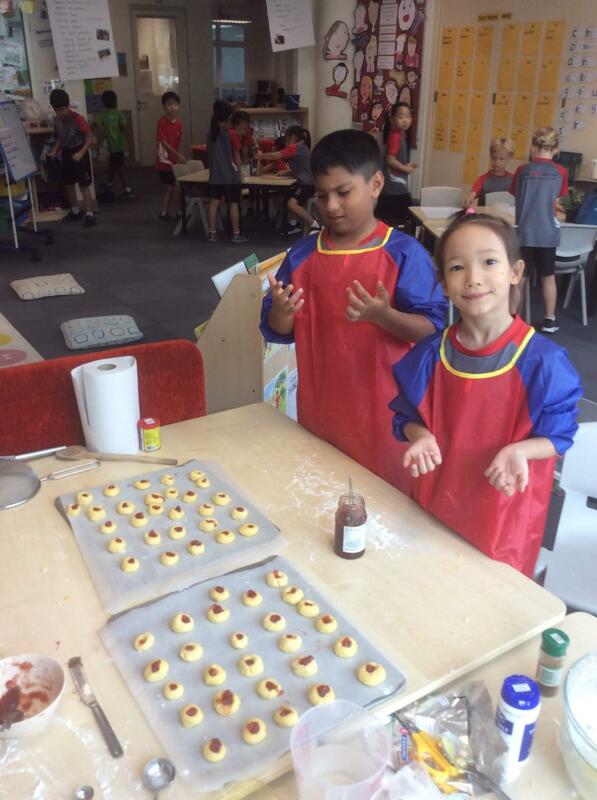 As part of the UOI ‘People use measurement to organise their daily lives’, Grade One has been doing some cooking. 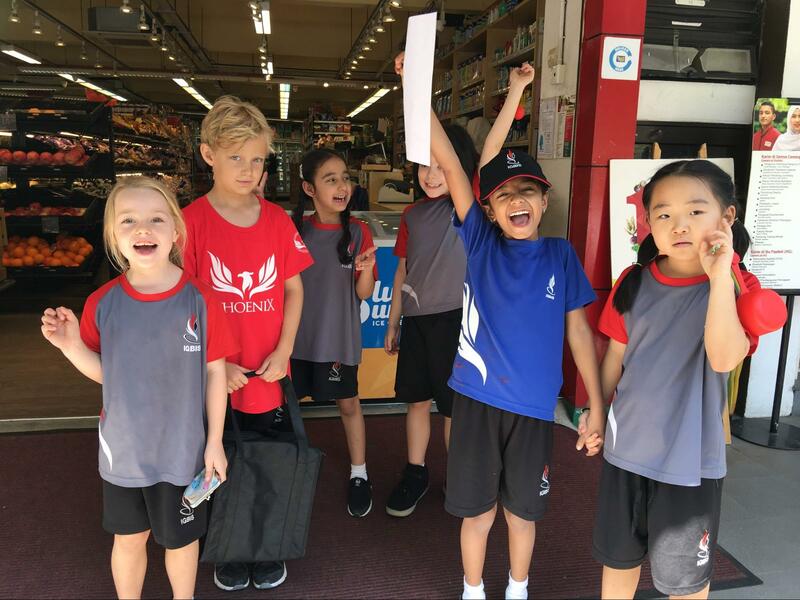 We found out that it’s important to work out the measurements for all the ingredients in order to make a shopping list. 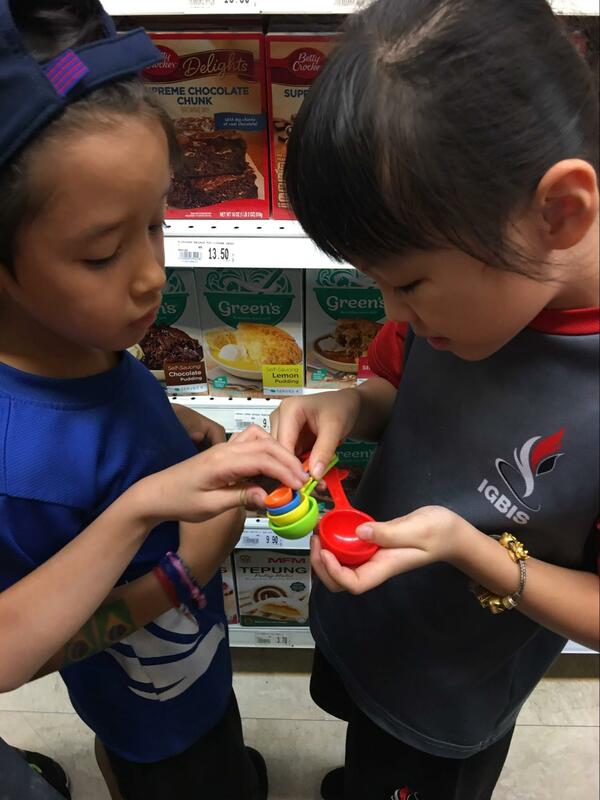 We then went to Jaya Grocer to buy what we needed. 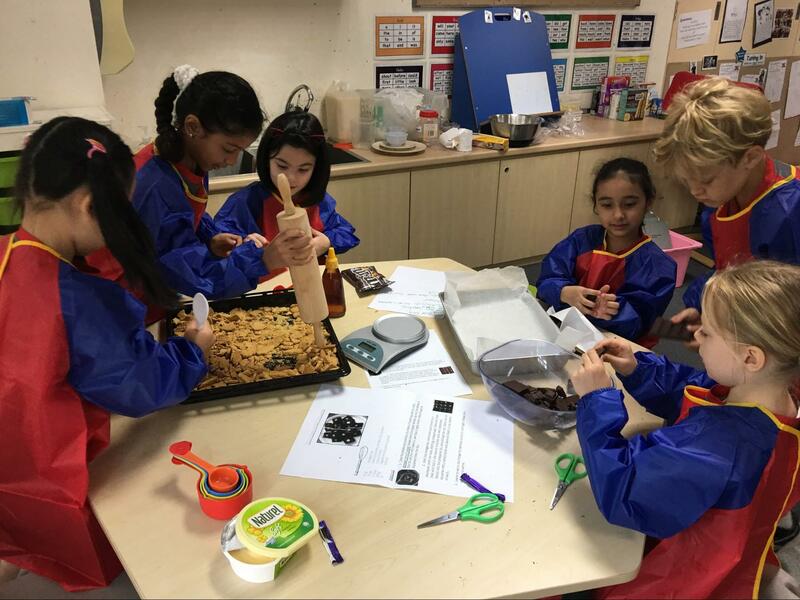 Back in the classroom we worked in groups to measure all the ingredients and follow the steps to make pizza, cheese straws, chocolate M&M squares, cupcakes and a fruit smoothie. We had discovered, from making pancakes a few weeks back, how important it is to be accurate with our measuring. 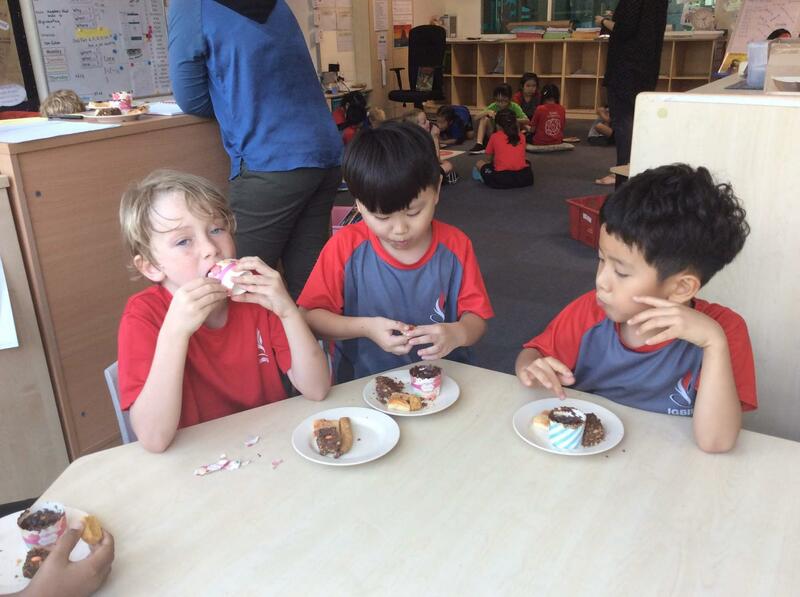 When it came to sampling the food on Friday afternoon, we all agreed that the ingredients must have been weighed accurately as the food was delicious! 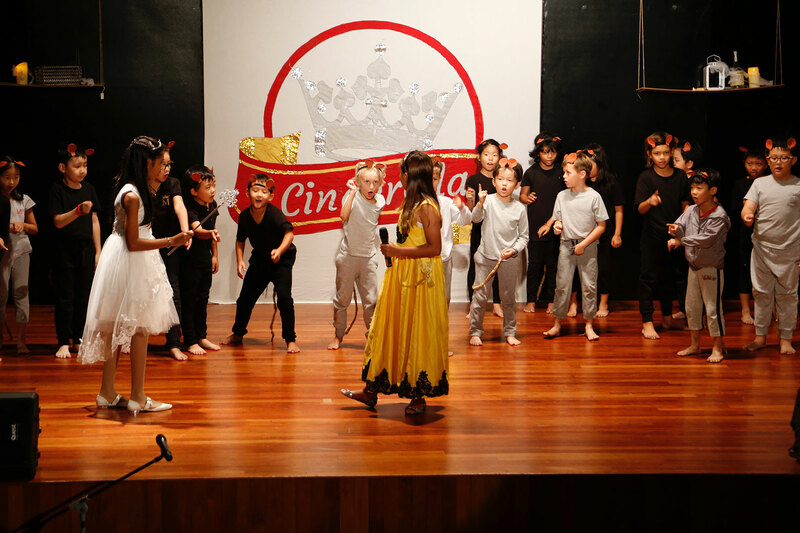 The first IGBIS Book Fair took place a couple of weeks ago, on March 14-16. 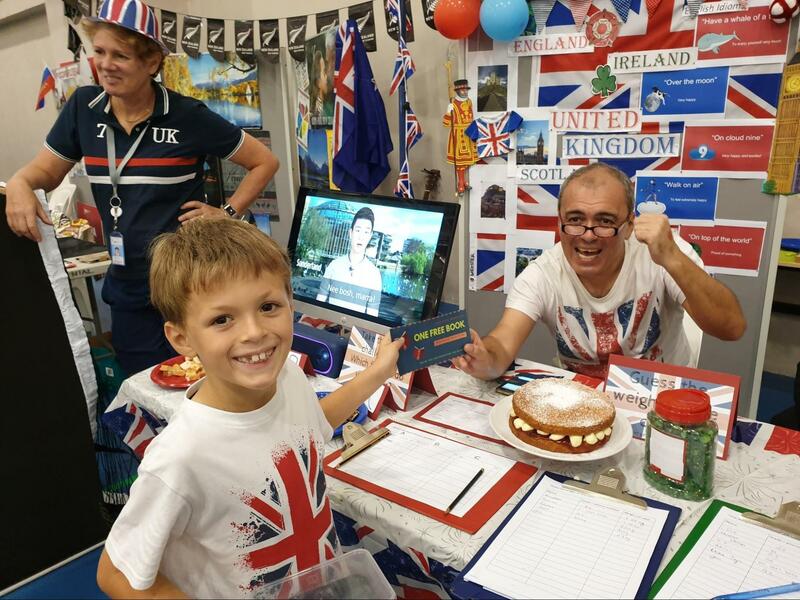 Students, parents, and teachers had a wonderful time browsing the tables of inviting books. 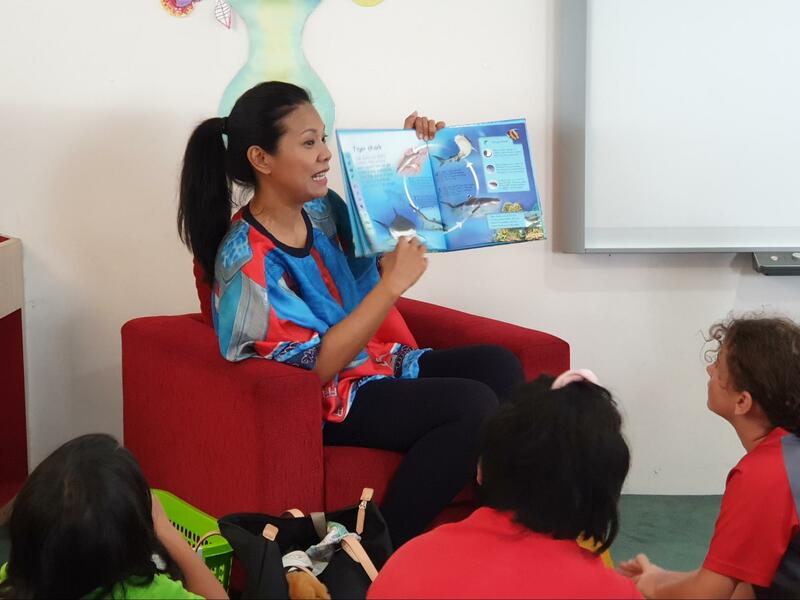 There were so many good books, our community purchased close to RM14,000 worth of books in three days!! 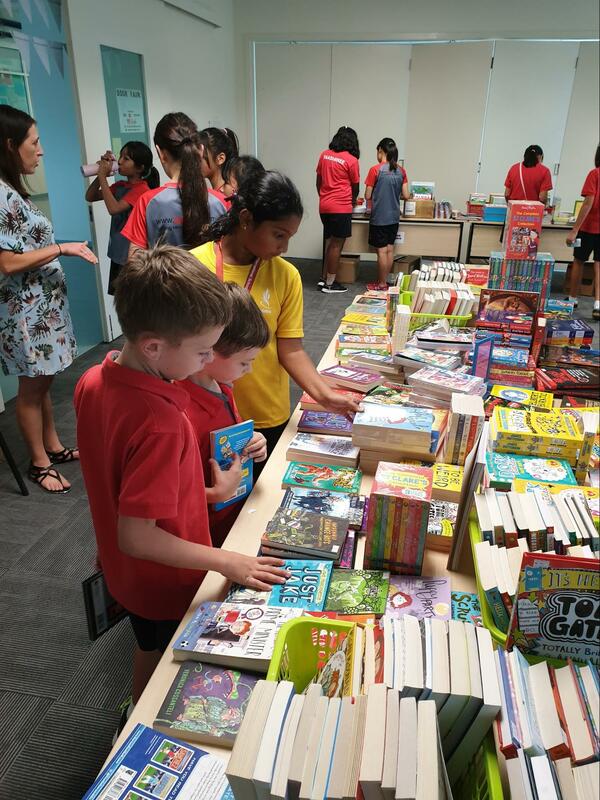 For every book bought, the vendor (OE Books) contributed 11% back to IGBIS giving us RM1,540 to spend on books for the school and classroom libraries. Most of the money was spent on books from the Classroom Wish Boxes and will be distributed to the classrooms soon. Thank you to all the parents and students who individually purchased books for the classroom libraries. Each purchase helps foster the love of reading in our children and as our classroom libraries grow, so will that legacy. 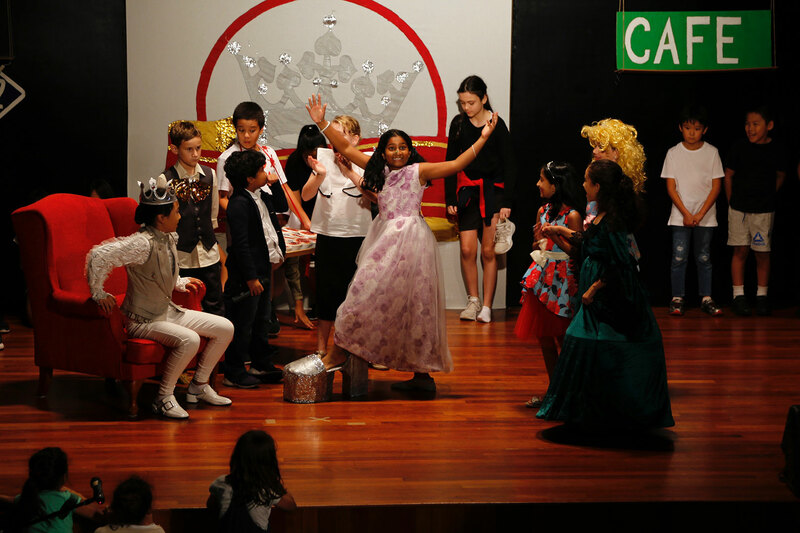 To add to the excitement of the book fair, everyone who purchased a book was entered into a raffle to win a free book. 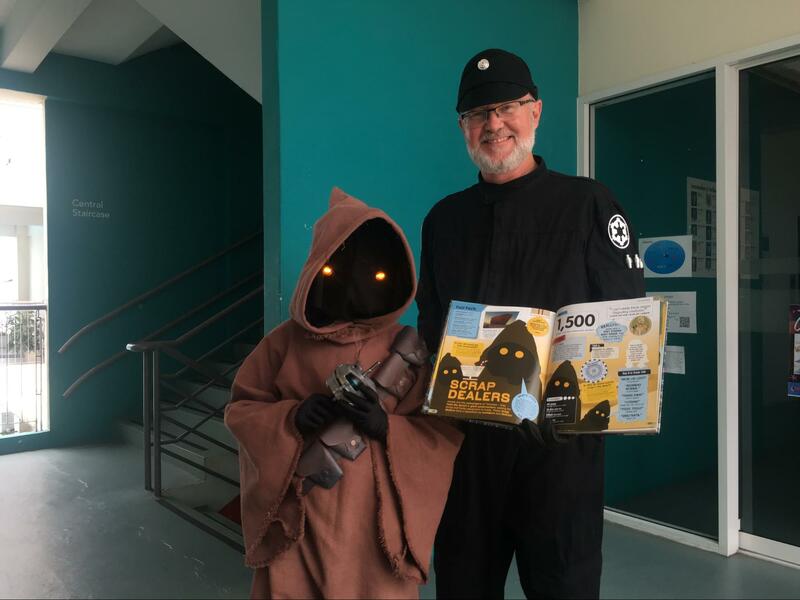 The more books they bought, the more raffle tickets were entered in their name. 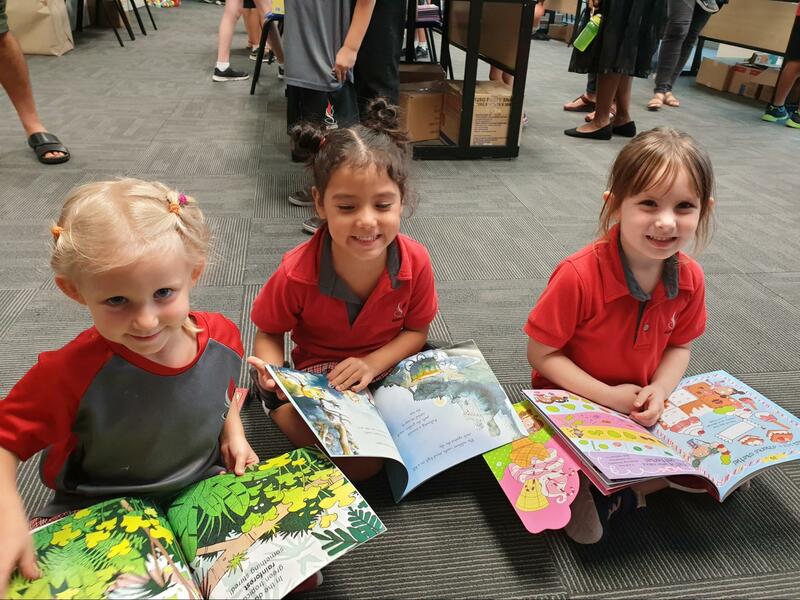 The winners of the 2019 Book Fair Raffle were Chloe from EYJ, Archie from 2H, and Wen Yi from 4R. Congratulations and happy reading! 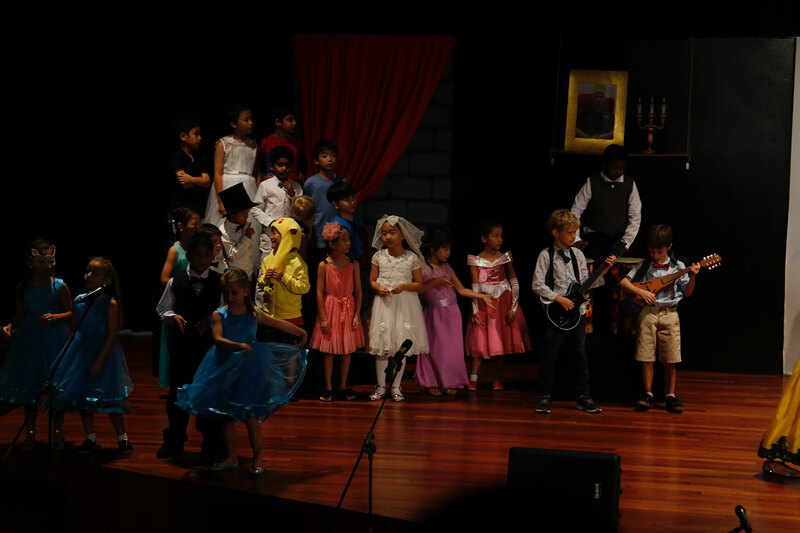 The value of books and celebrating reading could not be more important at IGBIS. 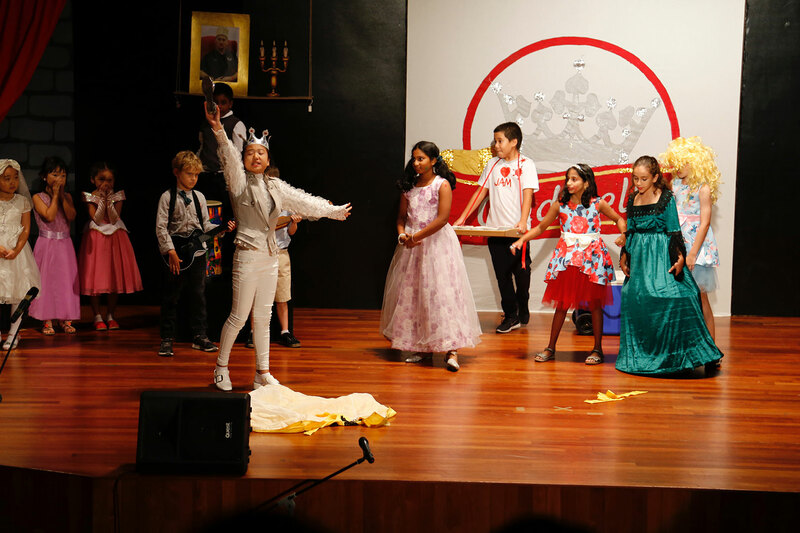 While we appreciate reading every day through read alouds, reading time, and book shares, nothing gets us more excited than literary events, activities and dress up days. 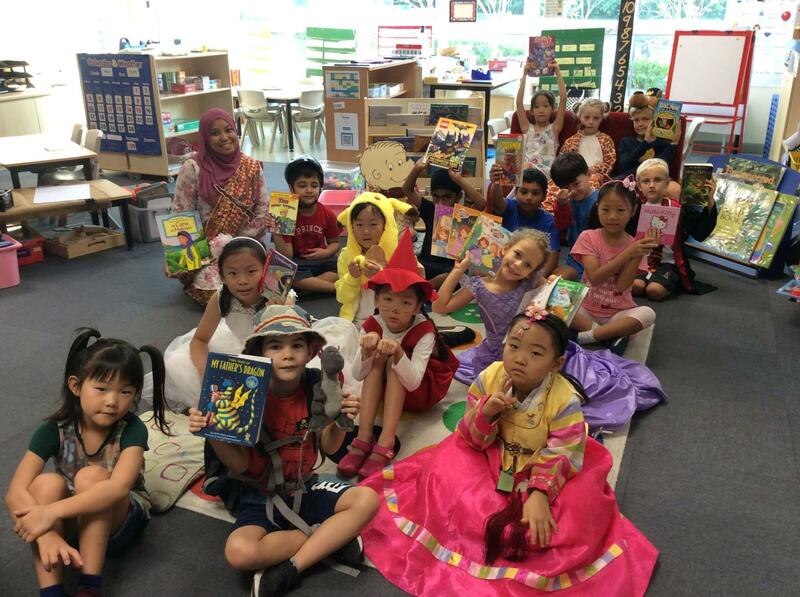 This year, we took the entire week leading up to International Day to promote books and integrate reading with our many cultures and languages that are here at IGBIS. 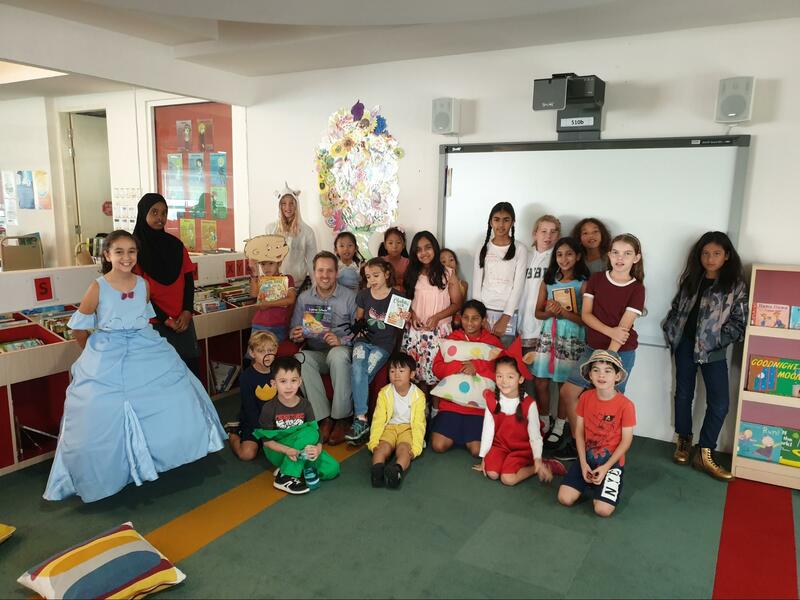 Our school showed support for Book Week with over 30 volunteers sharing their valuable time sharing favorite books, leading activities, and getting to know our students through story time. 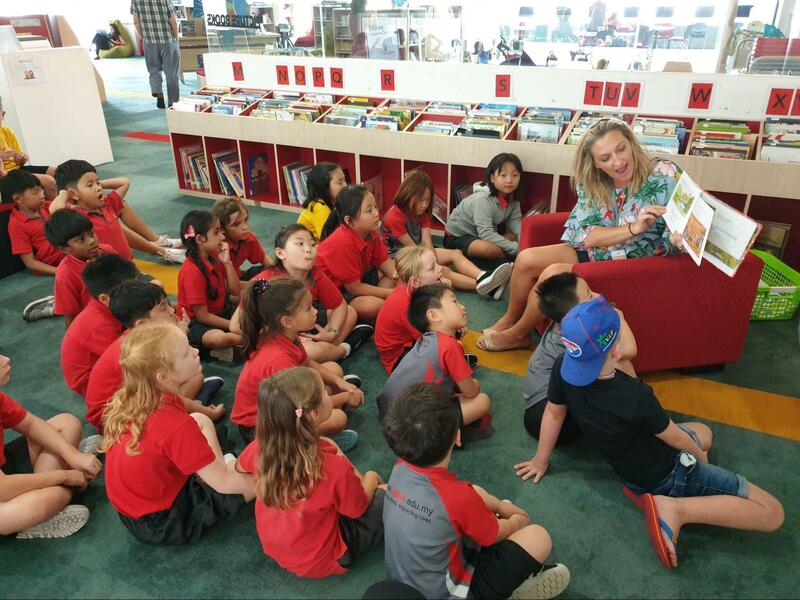 During our morning and lunch breaks, students were invited to come to the elementary library for International Storytime. 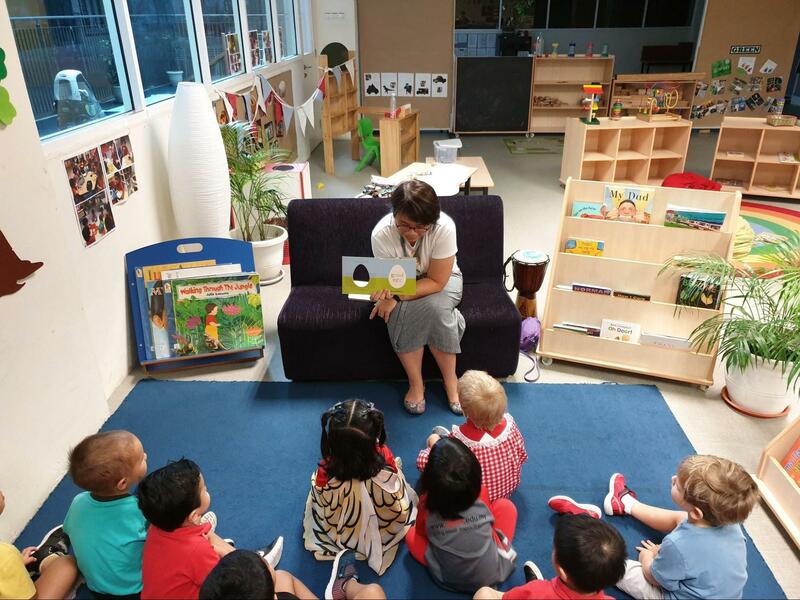 We had stories read in French, Korean, Portuguese, Japanese, Chinese, Ukrainian, Polish and German as well as stories in English about different countries. 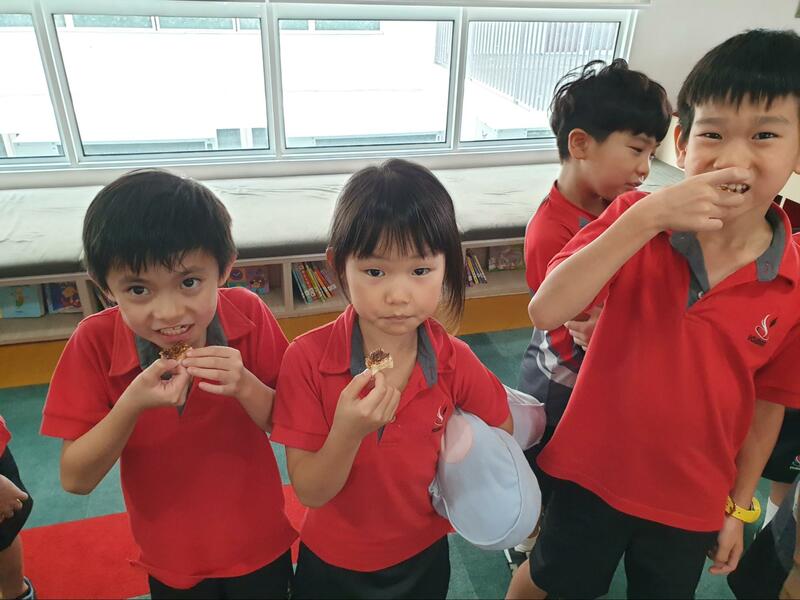 Students were able to learn words in other languages and were introduced to different cultures through a story about caravanning and tasting Vegemite! 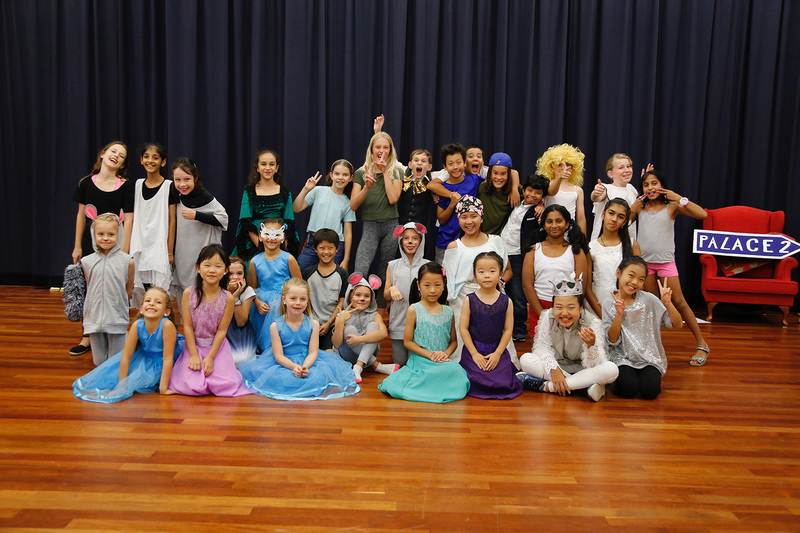 We had a fabulous turnout with our two dress up days. 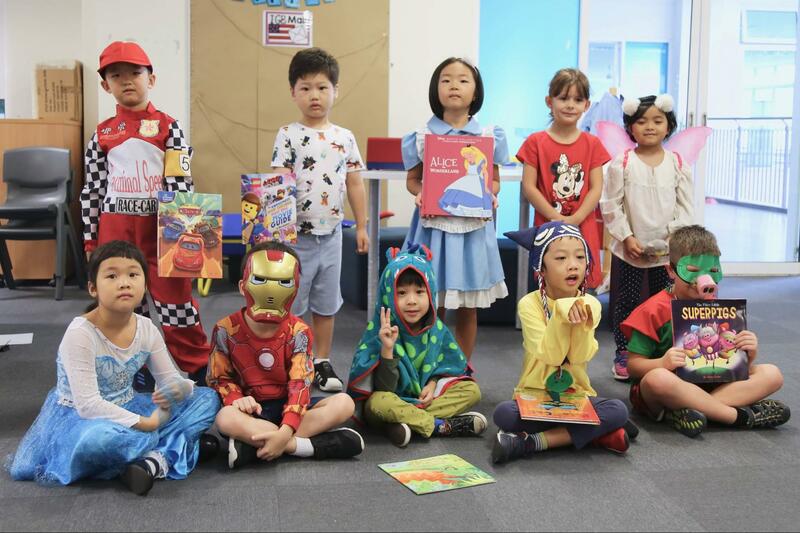 Wednesday’s theme of “Cozying up with a Good Book” had students decked out in their most adorable pyjamas and sharing their cuddliest stuffed friends. Many secondary students joined us for our Pyjama Party fun by coming down to the elementary library and reading with their Elementary School friends. Good books were shared with friends both big and small. The reading fun came to a sweet finish with a treat of hot chocolate and chocolate chip cookies. 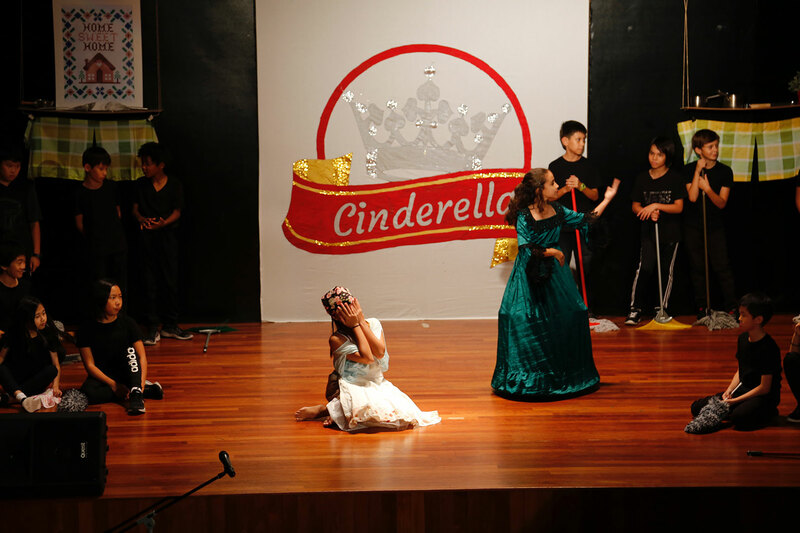 Fictional Friday was an incredible end to Book Week. 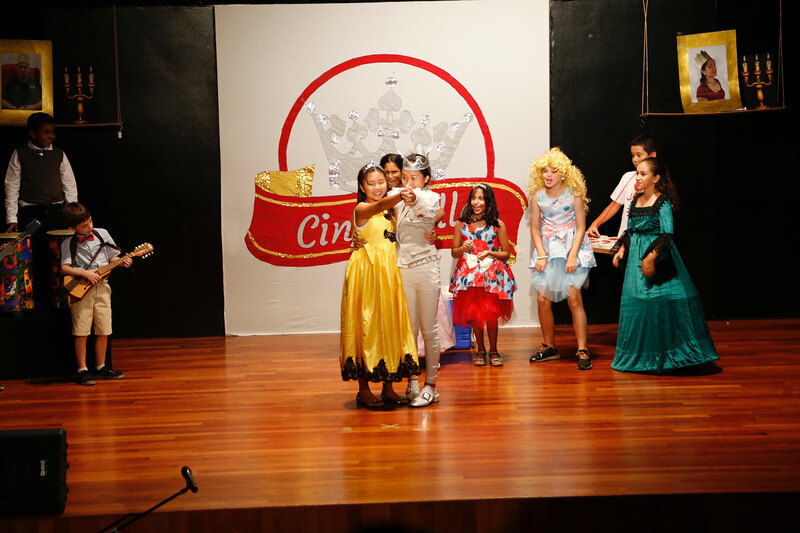 Both secondary and elementary students got creative and dressed up as fictional characters. 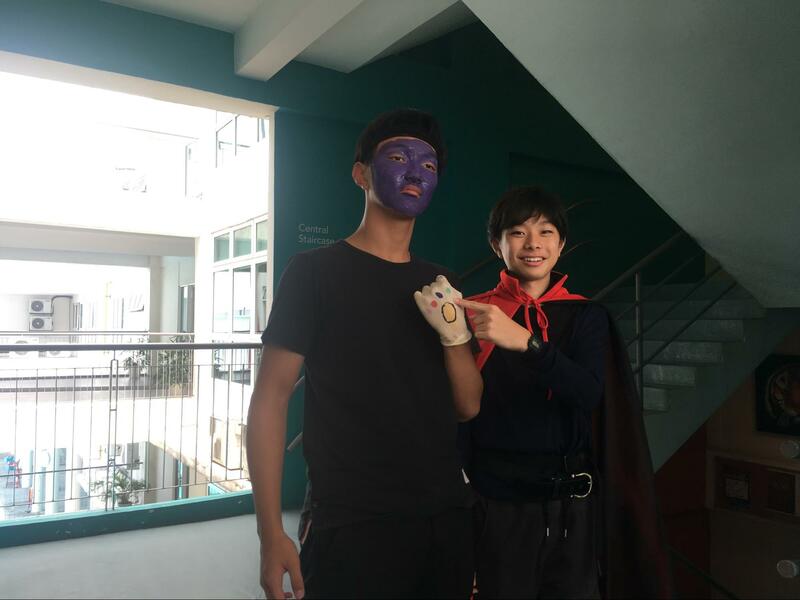 Students were able to admire and be admired with the lunchtime Book Character Parade. The time and effort spent on creating a costume was outstanding. 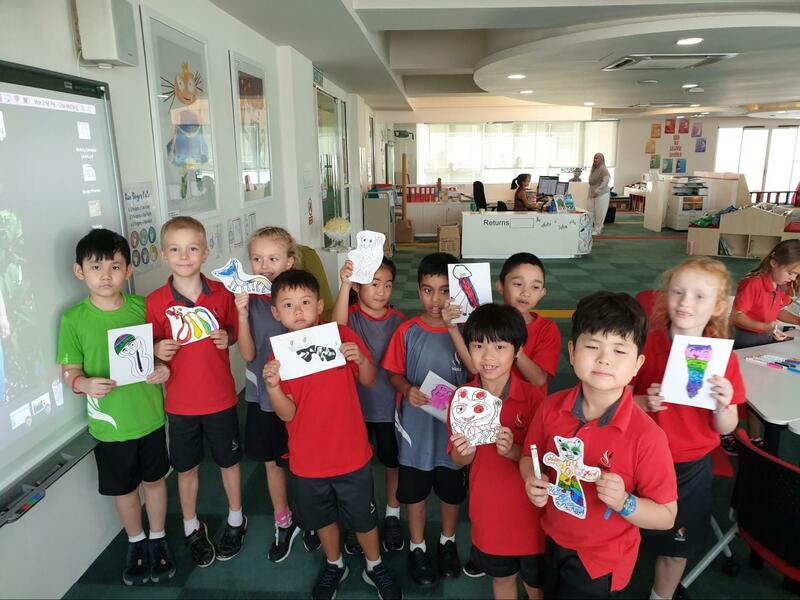 The library held a whole school Bookmark Design Contest leading up to Book Week. 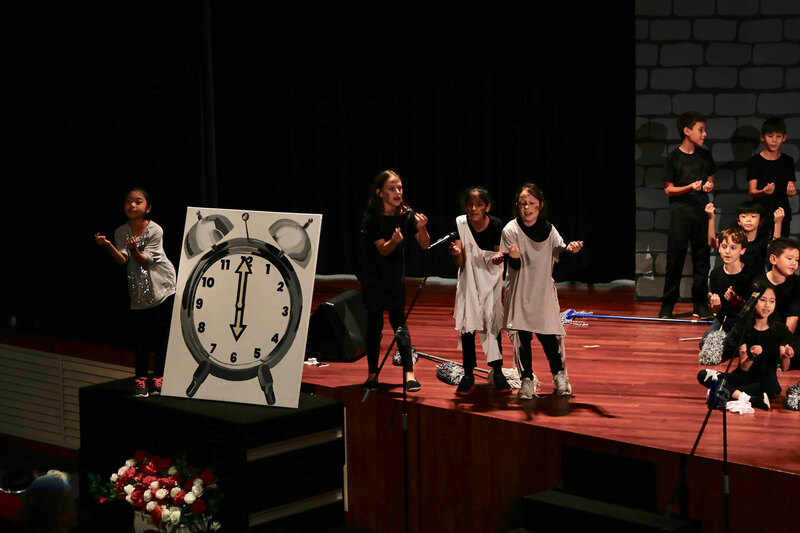 Students were invited to design a black and white bookmark that celebrated books and reading. Unfortunately, we didn’t have any submissions from Secondary School this year, but over 40 designs were submitted by Elementary School. 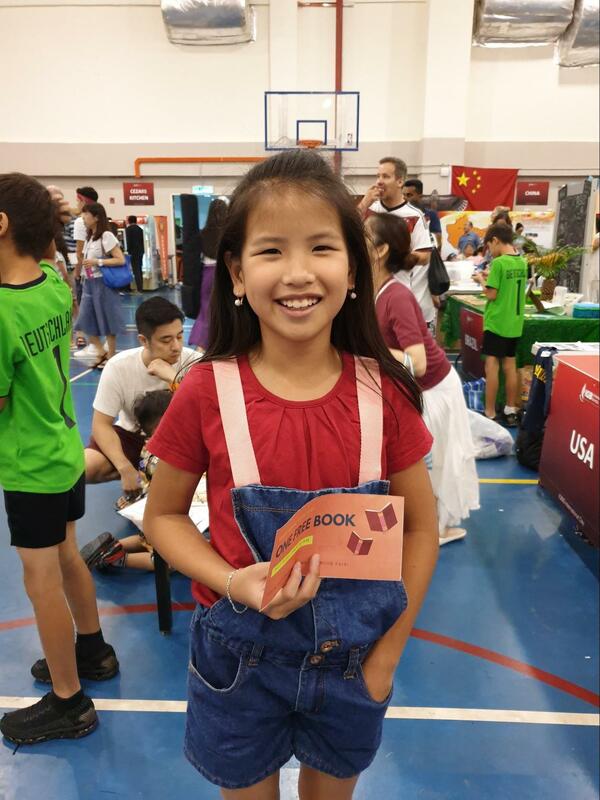 The winners received a free book from the Book Fair and their designs were displayed and shared at International Day and are available in the elementary library for everyone to take home. 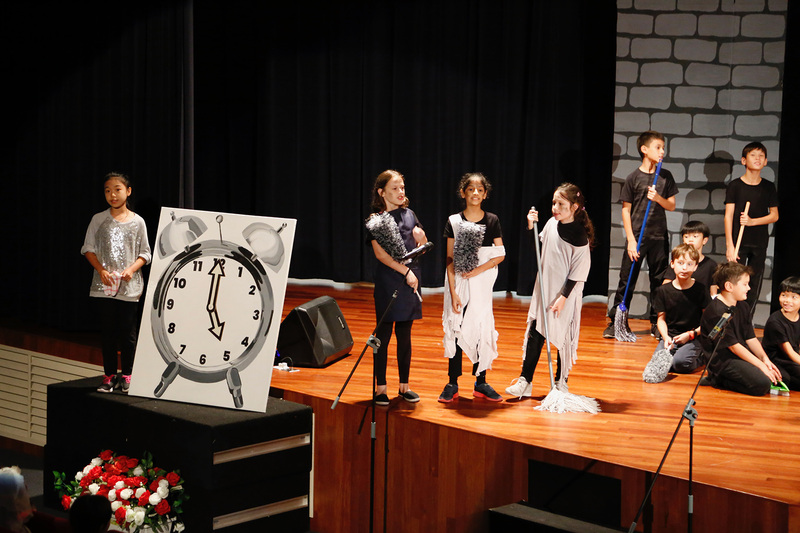 It was difficult to choose just four, but the winners were Chloe from 5M, Beatrice from 5H, Mysara from 4R, and Duke from KGT. Congratulations winners and well done to all the designers. Please save the date – our final PVO meeting of the academic year will be on Friday, 12 April 2019 from 8:00 – 9:00 am in the PVO Room. 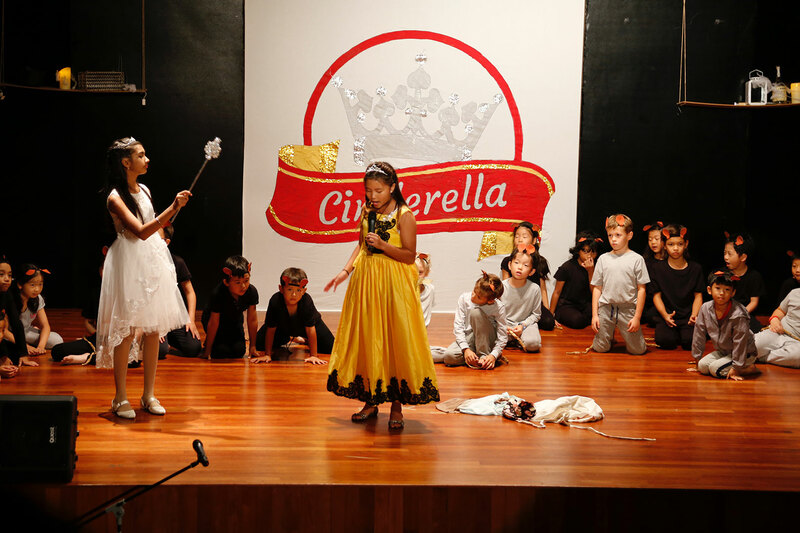 The agenda items will be shared via e-mail following the school break. All parents and caregivers are invited to attend.